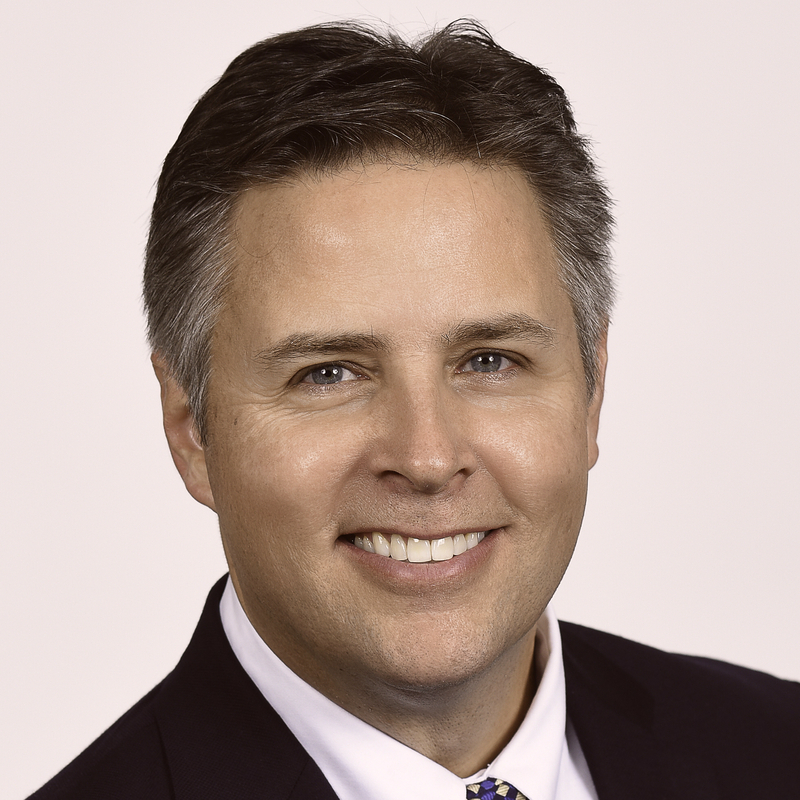 Mitch is the Broker/Owner of ProStead Realty and a Hall of Fame award-winning agent! He is also a Certified Residential Specialist as well as a Certified Professional Coach. 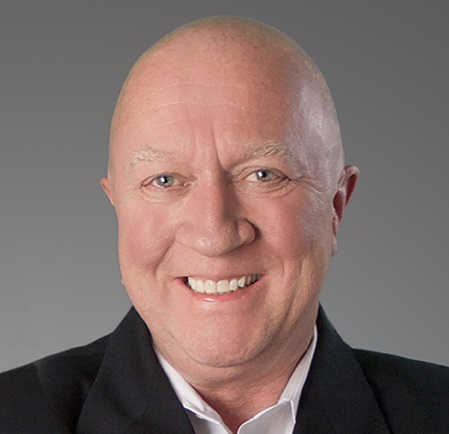 As a native Charlottean, Mitch has more than 30 years of full-time experience as a top-selling real estate agent in the area. He has built his business on referrals and repeat business over the years by having a passion for the business and providing, as he calls it, “just good ole fashioned service.” Mitch’s experience is what you need to get the job done. In addition to his many designations, Mitch is also a multiple award-winning "5 Star Service Professional"! Kirsten is a top-notch real estate professional with an outstanding track record. 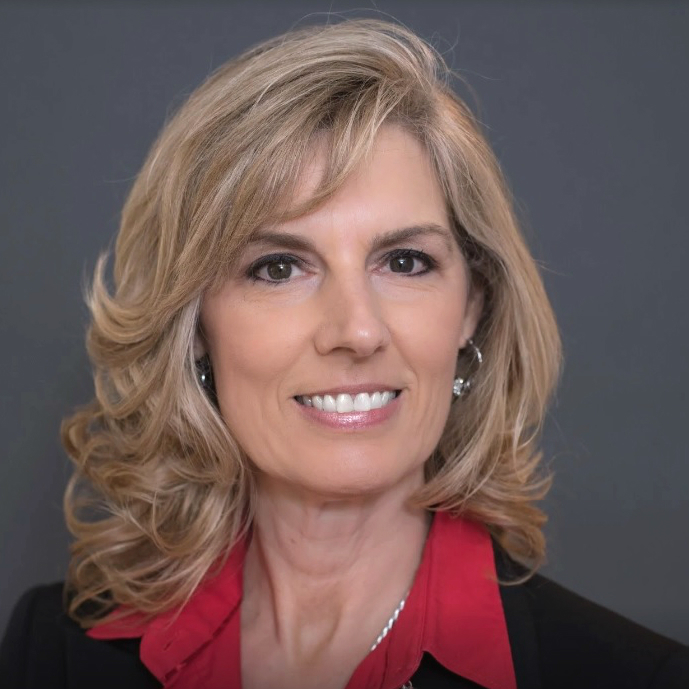 She is an eleven-year recipient of the Charlotte Magazine “Best of Real Estate Agents” awards and prides herself on providing outstanding service. 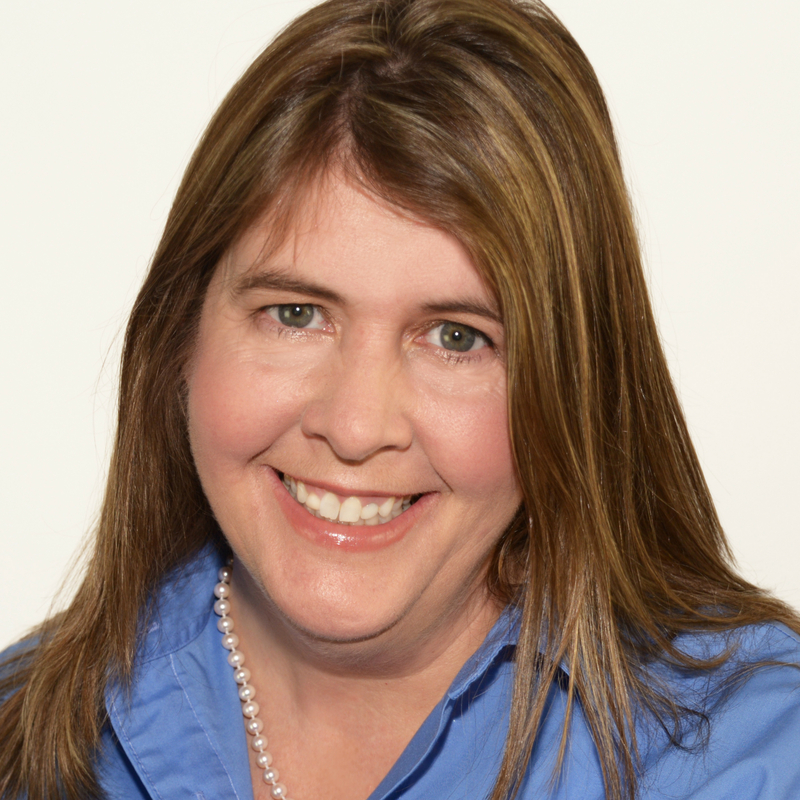 With more than 25 years of combined real estate and property management experience, Kirsten is responsible for the management of the company and keeping things running smoothly. If you’re looking for good advice on the best places to live in and around the Charlotte metro area, this little guy can give you some direction. A Charlotte native, he has traveled extensively throughout the Queen City and can sniff out any good information you need to know! Or, if you just need a smile, drop by and visit him. He’s always up for guests! Mohammad Alweesi moved to Charlotte from Jordan about 10 years ago. He attended Central Piedmont Community College and graduated in 2015. Doing real estate is more than just a job for Mohammad, it’s what he loves to do! He doesn’t sell houses only to make money; his goal is also to promote our area’s economic growth and keep our market at its best. 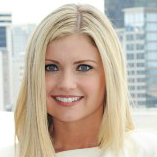 Laura started in real estate in 2013. A full-time agent, Laura is an excellent marketer, negotiator, and communicator. Her clients receive excellent customer service and are well informed at each step of the buying or selling process. In addition to ensuring customer satisfaction, Laura stays on top of the real estate market through certifications that help her clients. Laura is certified in Residential Construction, Strategic Pricing and is also a Military Residential Specialist. When she's not working Laura enjoys supporting her children in their activities and volunteering. Janet is a hard-working, full-time real estate professional who believes in exhausting all efforts to make sure her clients find the right home. She also works with many sellers and takes pride in the marketing strategies she can offer. It is her goal to continue to build strong relationships, one client at a time! Abby grew up in West Virginia and lived in San Juan, Puerto Rico, before settling in Charlotte. Before finding her niche in the world of real estate, she enjoyed careers in tourism, accounting, and the non-profit sector. Abby lives in uptown Charlotte with her 6-year-old, Sebastian, and is an avid volunteer for the Muscular Dystrophy Association. Abby has close to 10 years’ experience in Charlotte real estate. She utilizes the latest technologies, market research, and business strategies to exceed clients’ expectations. Whether you are buying or selling, she is determined to make your transaction as stress-free as possible. Past clients agree … more than 85% of Abby’s business comes from past clients and personal referrals. 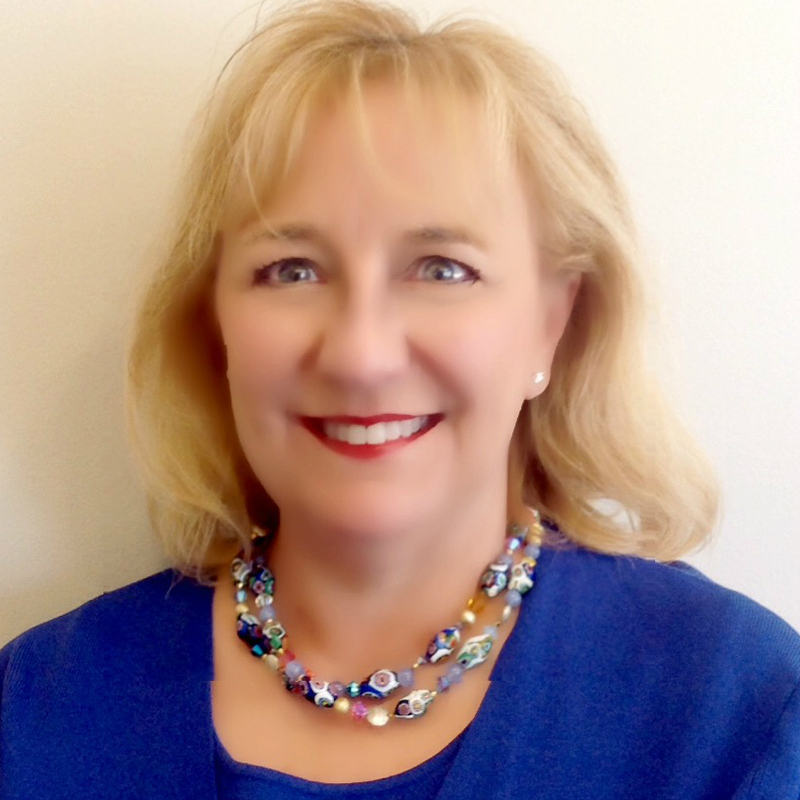 Pauline is one of ProStead Realty’s veteran brokers. Since the inception of her career as a Realtor, Broker in 2001, she has been recognized as Top Listing Agent of the month and Top Selling Agent of the month. 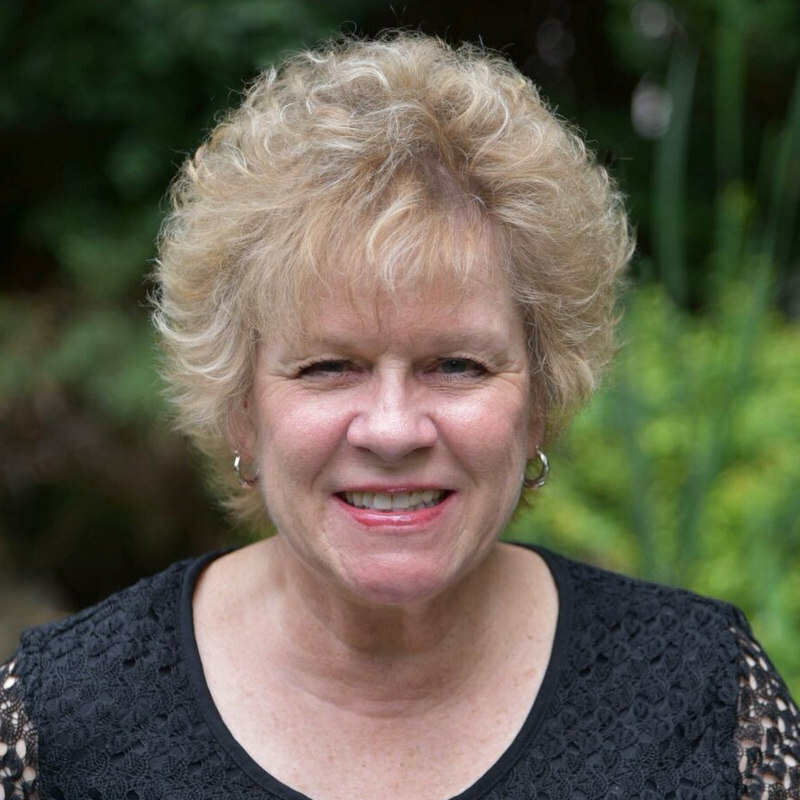 Pauline has gained her clients’ loyalty with her unparalleled commitment, exceptional integrity, and her breadth of knowledge of the real estate market. Pauline’s clients, who return repeatedly for all of their real estate needs, personally refer most of her clients. Her winning formula is consistent quality service, innovative solutions, and a relentless work ethic. Marianne is a Charlotte native and has lived in the area over 35 years. She is a 2002-Chapel Hill Graduate with an Advertising Major/Business Minor. She understands the importance of family, having two young children of her own. A home is where your family grows, and it is one of the most important purchases you will make. She has been a Real Estate Broker since 2006, and experienced both ups and downs in the market. She believes that through good and tough times, the most important job she has is to give her clients excellent customer service, going above and beyond to make each transition as smooth as possible. Experience, honesty, and dependability are critical traits she gives her clients to give them the excellent service they deserve. She serves the greater Charlotte area, including cities of Matthews, Mint Hill, Stallings, Indian Trail, Monroe, Weddington, Waxhaw, Pineville, Concord, Kannapolis, Mount Pleasant, and Midland. 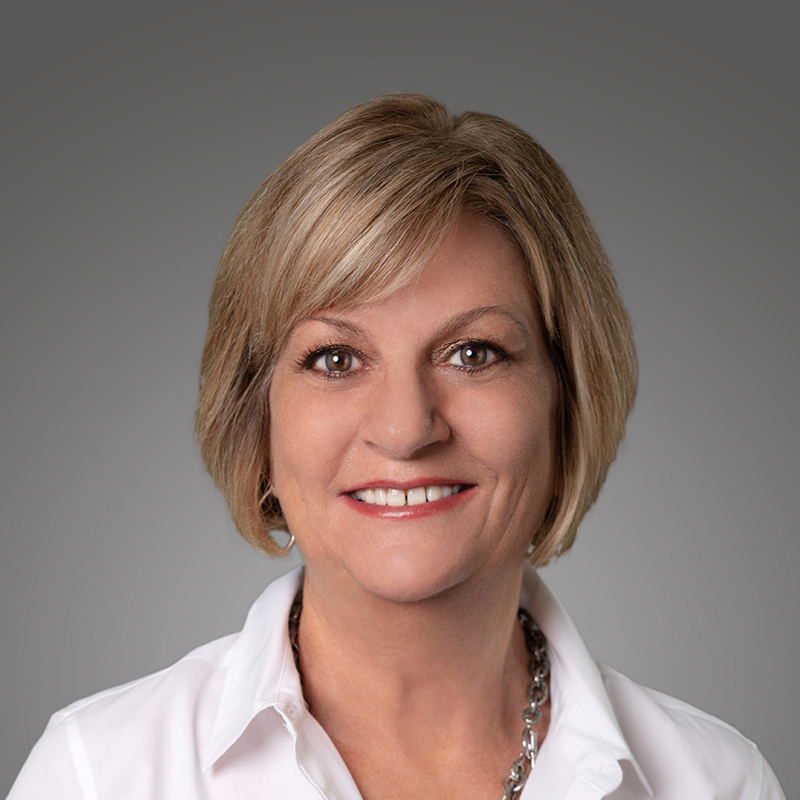 Susan has more than 16 years of experience in real estate and has been a Five Star Award winner for best overall customer satisfaction for 8 years in a row. She is a native of Charlotte and provides a wealth of knowledge to her clients when it comes to the queen city. She works with each client to find a home that best fits their needs or, to determine the proper positioning within the market, developing the right pricing strategy and customized marketing campaigns. Whatever the situation, it's Susan's first priority to make sure each client has a great experience and enjoyable transaction. Clarissa’s specialty is investment properties. She invests in the Charlotte area and is constantly researching and finding properties that would make wise investments. Clarissa was born and raised in Manila, the capital of the Philippines. After college, she got a job with IBM and moved to the U.S. She speaks English, Tagalog, Ilocano, and Pangasinan, and she has knowledge of various areas and cultures that has taught her a lot about buying and selling houses. In the Charlotte area, she has become familiar with the good schools, neighborhoods, and areas to invest in. She always makes sure that she can interject fun into anything she does. There is no dull moment working with her! Please don’t hesitate to contact her if you have any questions or need help with real estate. Salamat! Thank you! Franklin is a 10-year veteran of the real estate industry, getting in the business just as the market began its downturn, yet has consistently been a top producing agent since day one! Franklin is as patient as they come and provides stellar customer service. His #1 goal is to exceed your expectations so you will call him again with your future real estate needs, and recommend him to your friends and family! Franklin specializes in the North and Northeast parts of Charlotte, including Cabarrus County. Franklin is married with a beautiful daughter and is very active in community service. Stephanie appreciates the opportunity to assist those who are new to the Charlotte area, as well as those who are looking for something different. She has the knowledge and resources to share everything from neighborhood and school information to details about city services and capital improvement projects on the horizon. Stephanie graduated from Florida State University with a Master’s Degree in Social Work. Stephanie has worked for over ten years in various non-profit companies throughout Florida, Arkansas, and North Carolina. The wife of a combat veteran, she worked for the VA Medical Center and enjoys meeting the challenges faced by military and former military families. She shares her family with two wonderful daughters and plenty of pets. 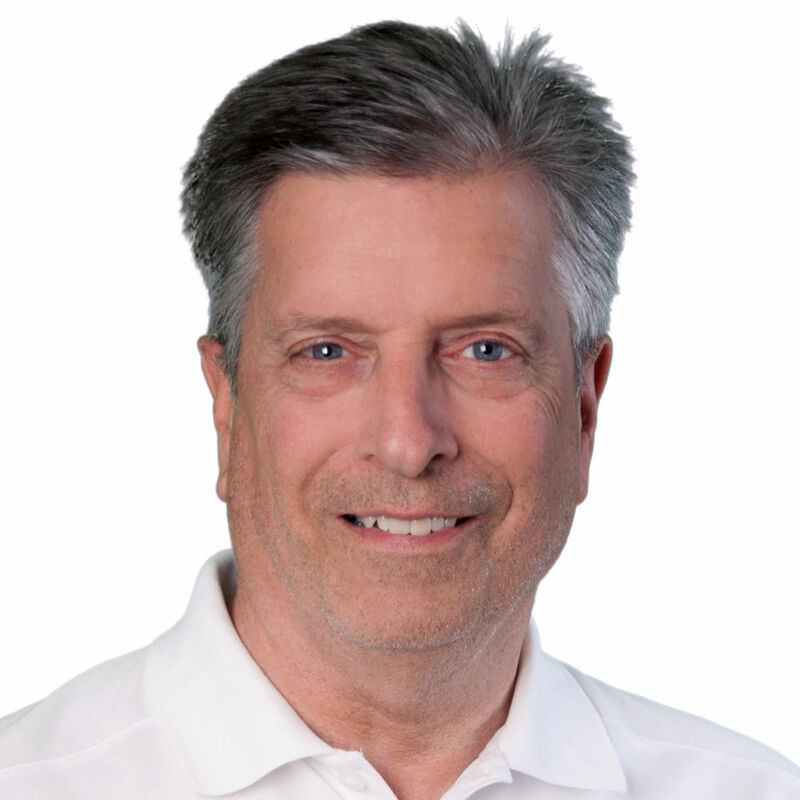 Neil brings more than 30 years of residential real estate industry experience in management, general brokerage sales, business development, training, and marketing. 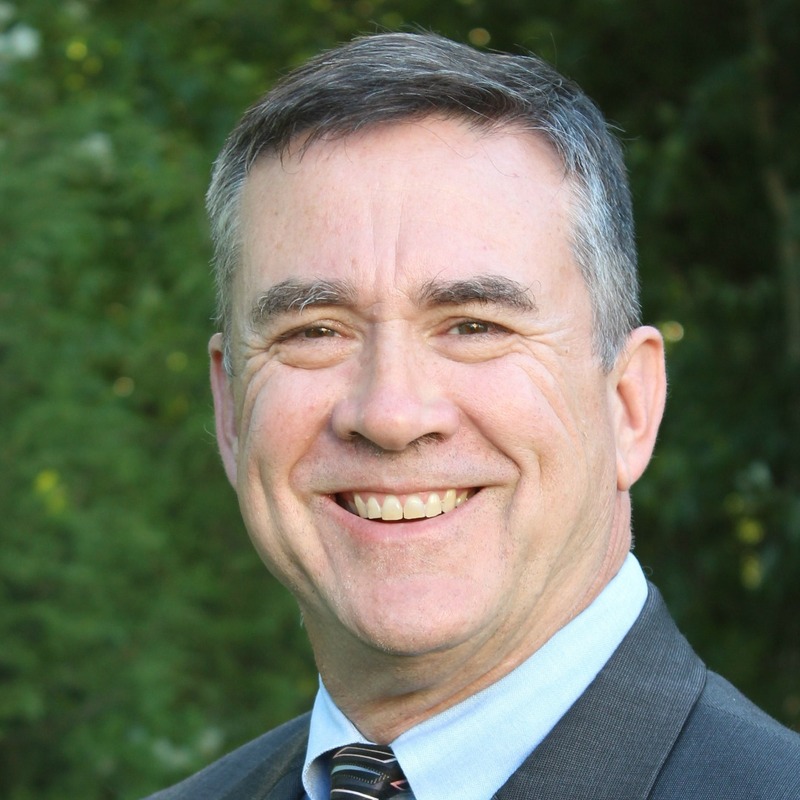 Neil has successfully served as a Realtor with the highest degree of professionalism, character, and integrity since 1979 in several Virginia cities, and has been serving the greater Charlotte and upstate South Carolina area since 1992. Neil enjoys both the challenges and rewards of residential real estate and business development, but he is first and foremost dedicated to his faith and family. Neil’s family includes a wonderful wife of more than 30 years and an outgoing teenage daughter. Neil and his family are active in the community and also enjoy spending time at home, taking trips to the mountains and beaches and visiting family around the country. Leslie is a native of Union County, North Carolina. She graduated from Parkwood High School in Monroe, NC and attended college at Wingate University in NC where she obtained her Bachelor’s Degree in English Literature. She began her career in Sales, Marketing & Customer Service and soon realized she had a great passion and a real talent for identifying great investments in real estate. Several years later, she decided to turn her expertise into a full-time career and share her knowledge with others. Coupled with her love of real estate and exceptional customer service & presentation skills, she made the jump to residential real estate sales and is blazing her own path. Leslie also recently started her own staging business. Leslie has a great eye for detail and understands just how a home should present itself to earn top dollar. She loves working with other agents and helping their clients make the tough decisions when it comes to staging. 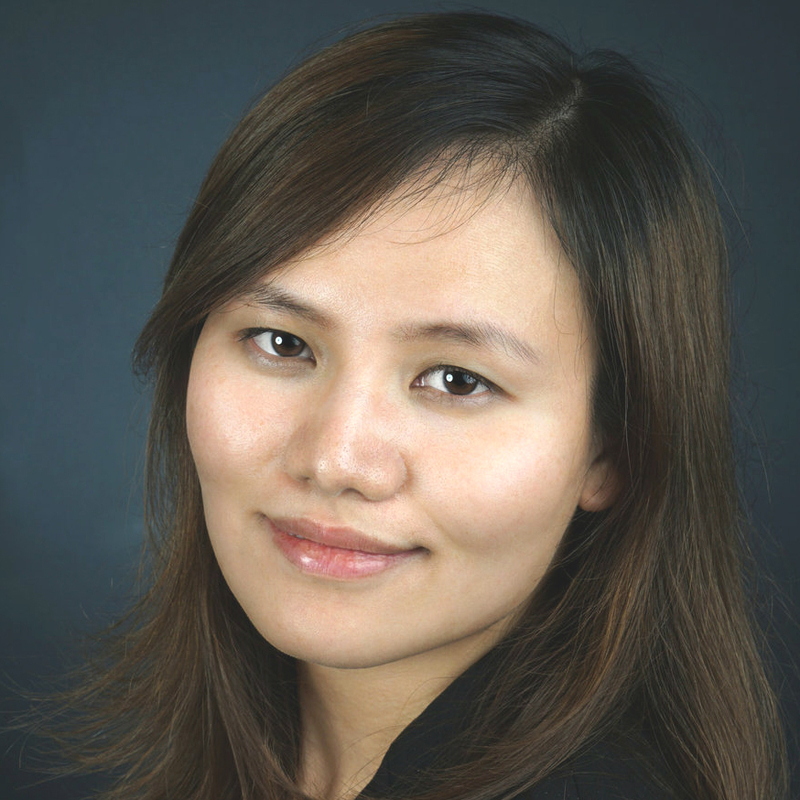 Khin has been a licensed real estate broker for more than seven years. 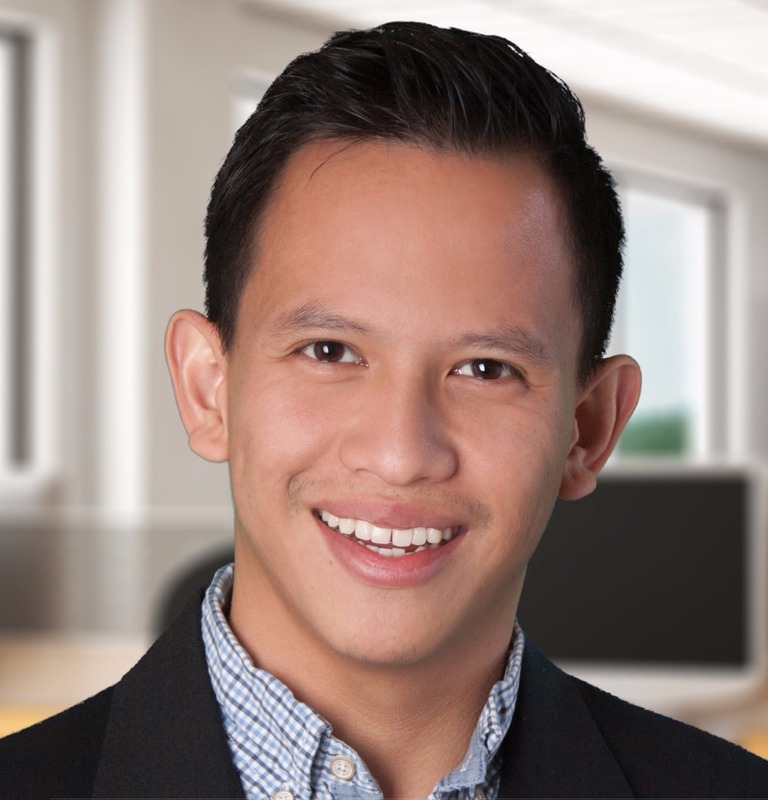 With his extensive engineering and management background, Khin will be sure that no details are overlooked during your home-buying experience. 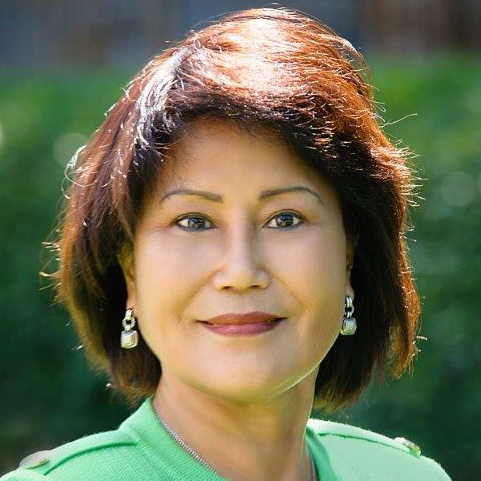 Licensed in both North and South Carolina, Khin has resided in the area for the past 32 years and is very knowledgeable about the greater Charlotte region. In his free time, he enjoys traveling with his wife, Maline, and visiting his children and eleven grandchildren! As a Cambodian native, he is fluent in both Cambodian and French. I serve the Metro Charlotte area, and I’m licensed in both NC and SC. I'm fluent in Chinese and English. My passion is to educate home buyers, sellers, and investors to make informed decisions with confidence and clarity. As a former CPA and having worked in commercial real estate, I enjoy helping real estate investors make profitable decisions by utilizing my analytical skills and financial knowledge. I firmly believe that financial literacy and homeownership are the crucial steps toward one's financial freedom; therefore I strive to help my buyer and seller clients make sound financial decisions while helping them meet their non-financial needs at the same time. I'm an active volunteer in Junior Achievement and Community Link. I believe in building on personal touches, win-win deals, and positive results. Leveraging the latest technologies, market research and business strategies, I aim to exceed your expectations. I listen and find solutions that are tailored to you, and I thrive by becoming part of your success, both professionally and personally. As a Lake Norman area resident, an experienced Realtor since 1995, and an avid equestrian enthusiast, Kathy can assist you with all of your real estate needs. Whether you’re looking to purchase or sell luxurious lake property, a farmhouse with acreage or anything in between, Kathy’s experience and expertise will guide you to real estate success. I am a passionate real estate professional who has over 15 years of experience plus I'm a graduate of The University of North Texas State. I have a BA in general studies with an emphasis in Business and Radio, TV & Film. I can speak Vietnamese fluently and am semi-fluent in French. I offer a wealth of knowledge and services to assist in all of your real estate needs. I believe in cutting edge marketing strategies, savvy negotiation, innovative solutions coupled with a high ethical standard that sets me apart from others. I don't believe in promises, but I absolutely believe in: integrity, respect, conscientiousness, commitment, loyalty, creativity and RESULTS. Michael has been in sales all of his life and for the past several years, he’s specialized in new construction home sales. He and his wife and three daughters have resided in the Charlotte area for more than 10 years. He prides himself on his extensive knowledge about the local market…especially as it relates to new home sales, HUD homes, and foreclosures. If you are looking for a knowledgeable, well-rounded professional who will represent your best interests and find you the best deal, call Mike today. 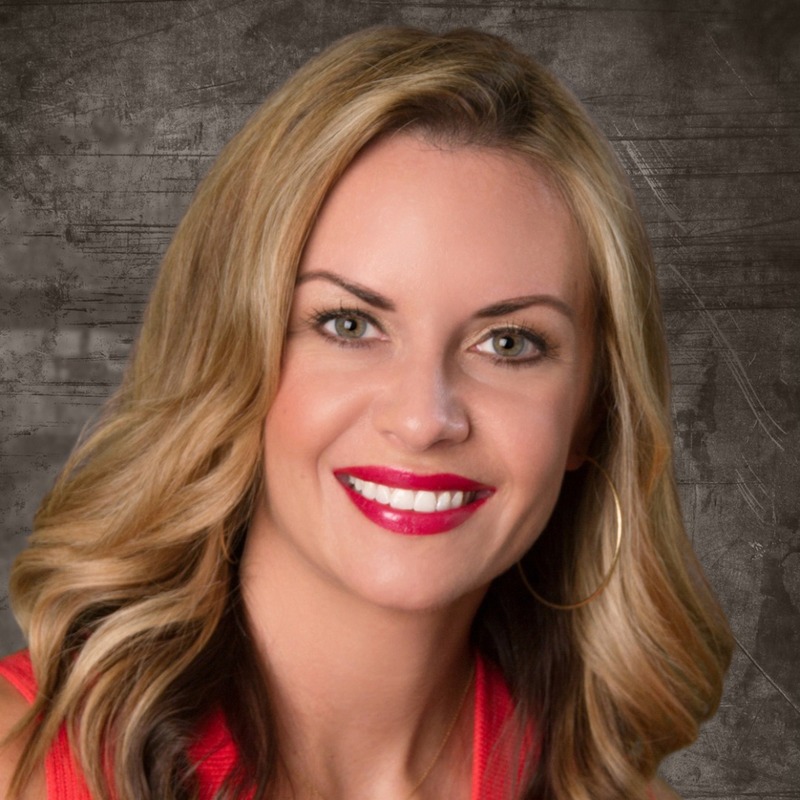 Amy Coleman loves both selling homes and marketing. Her extensive background in digital marketing and her passion to serve is the reason she succeeds in the real estate industry. Amy provides a unique marketing plan and a wealth of market knowledge for both buyers and sellers. In her downtime, Amy can be found enjoying time with her daughter, Ainsley, family, friends and completing projects around the house. 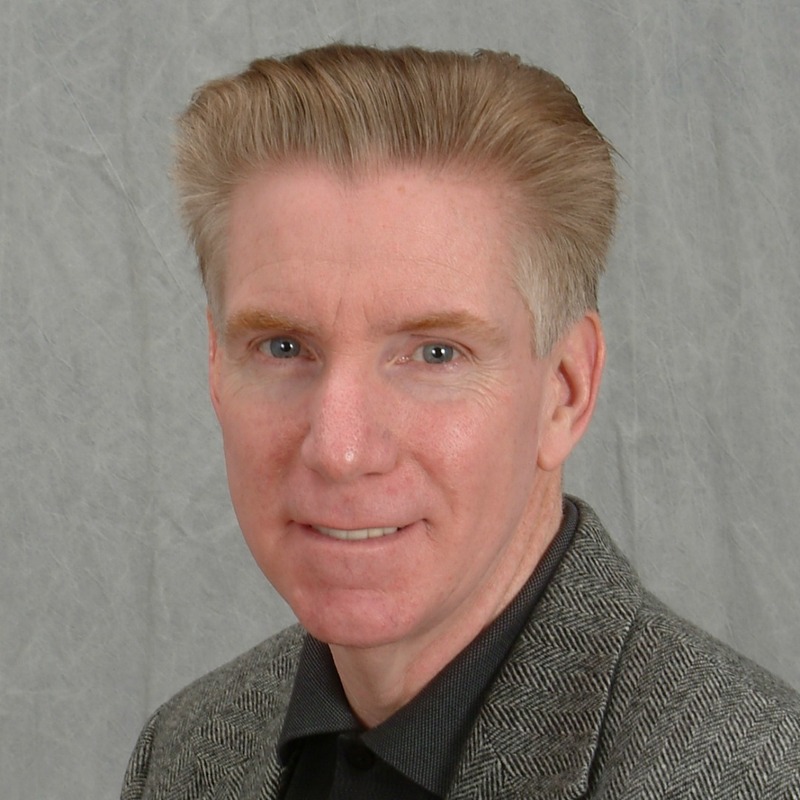 I started my real estate career in 1994, as a housing consultant, in Bend Oregon. One of the most rewarding aspects of being a real estate Broker is meeting people where they are in their level of understanding and expectations regarding the transaction process. Making the route an overall positive experience is inevitably the result of transparent business practices and clear communication. The reason I find this rewarding is that the relationship with my client evolves from being your trusted Broker to being a person you come to rely on. This enriches my life and creates a happy client/ friend. Whether you're selling or buying I can make your real estate transaction more profitable and less stressful through insight and experience. I look forward to working with you. 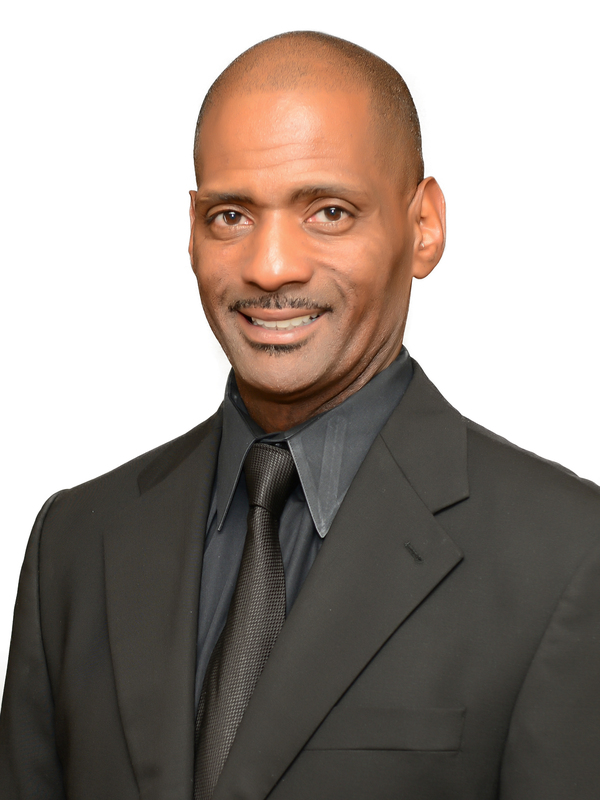 Carlton has been a licensed Broker/Realtor in the Charlotte market since 2010. He has spent most of his professional life in the non-profit world helping people. 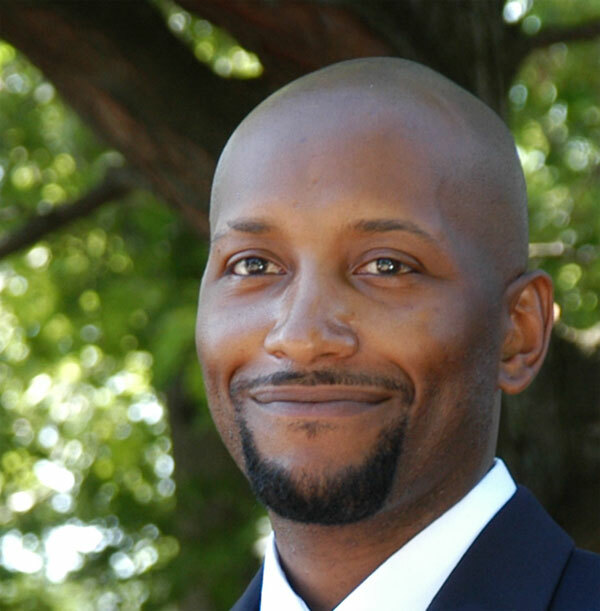 Carlton brings his passion and desire to help others to his real estate practice. His primary areas of expertise are new home construction, first-time buyers, luxury homes and listings. In his spare time, Carlton enjoys volunteering for various causes in the community, golf, boating and spending time with friends. He is a Leadership Charlotte Graduate (Class 25). Carlton is married and has two beautiful daughters. Having been in real estate since 1998, Lisa has done everything from listings and sales to transaction coordination and management. 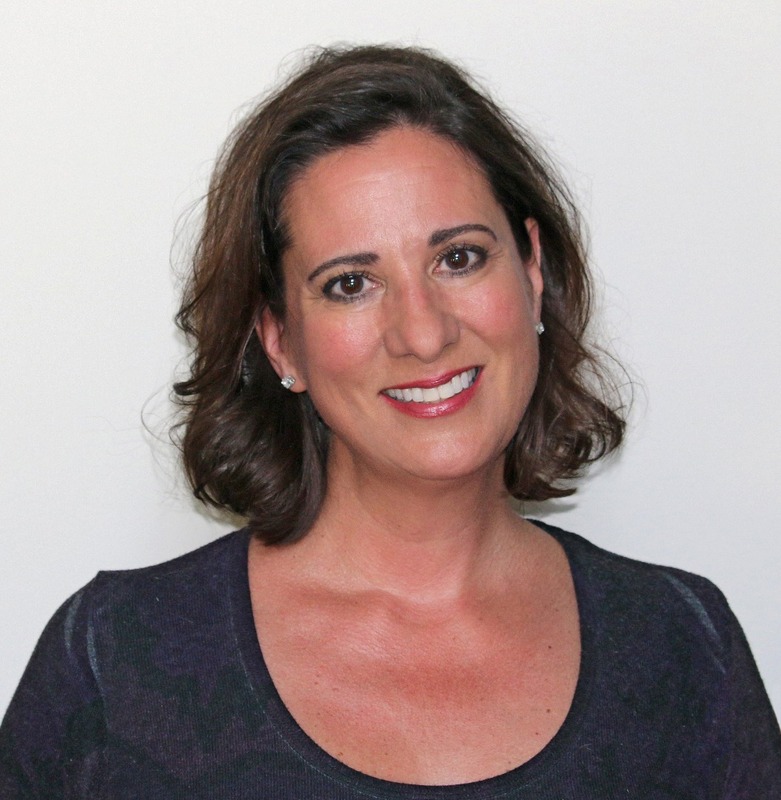 A Connecticut native, Lisa relocated to the South with her husband and two kids in 2000. As a south Charlotte resident, she’s become an expert on the area, including Matthews and Union County. 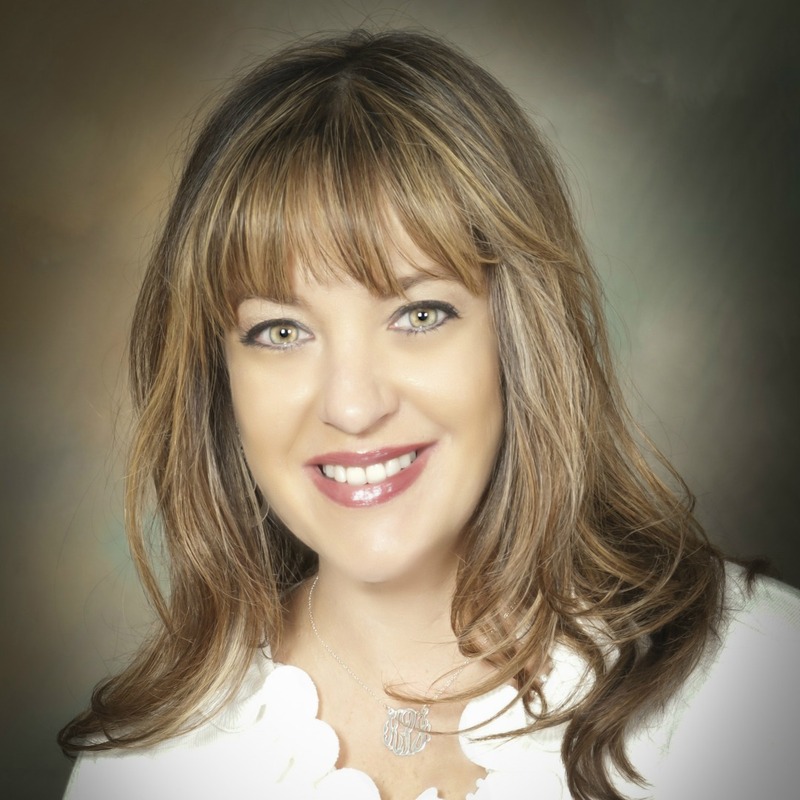 Licensed in both North and South Carolina, Lisa’s focus is you! Whether a buyer or seller, Lisa will meet all of your needs and greatly exceed your expectations! Having relocated from his hometown of Seattle to Oregon, and then to Texas, Rob was excited about the opportunity to make North Carolina and the great city of Charlotte his home. Rob has always been fascinated with the real estate market and finding the hidden potential in a property. He has invested in several types of properties, from new construction to full restoration projects, and those experiences have given him a great appreciation for the process of home buying and selling. Most importantly, he has recognized how crucial it is to have a qualified real estate professional to guide you through the process and look after your interests. Rob looks forward to sharing his unique personal real estate experiences to help guide you through any aspect of the real estate market. He is licensed in both North and South Carolina. 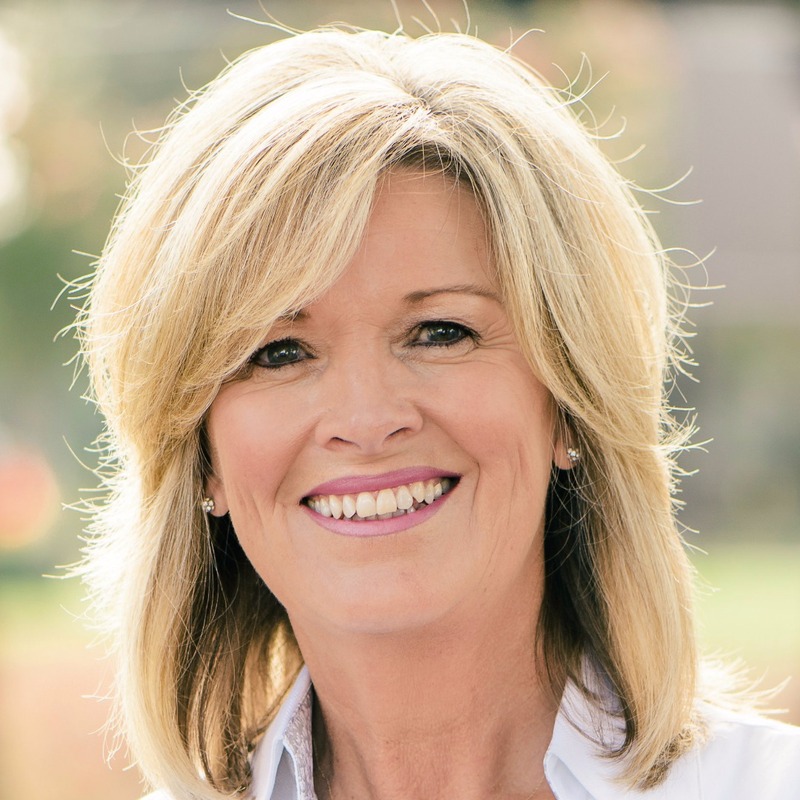 Terrie has the expertise and skill set to help buyers navigate what can sometimes be an “emotional” path to their largest investment, and to assist sellers in getting top dollar for their property. 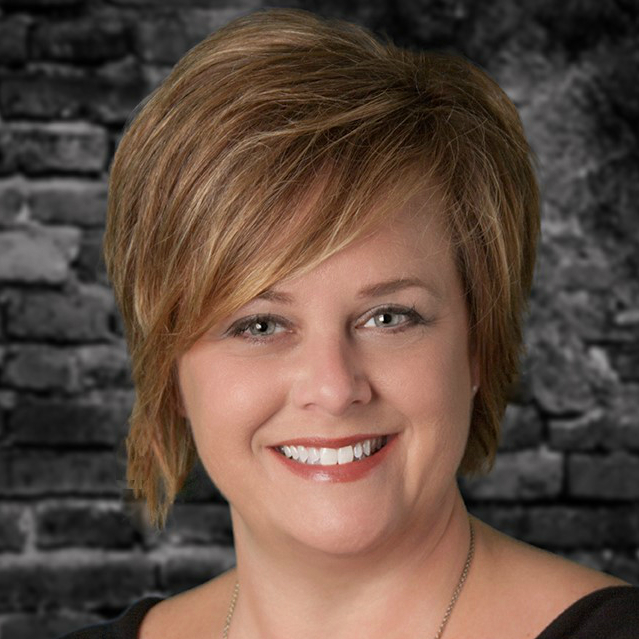 Terrie started her real estate career working on the new construction side, which was a great place to learn about all facets of the building process. She is licensed in both North Carolina and South Carolina. After moving back to the East Coast from San Diego, Charlotte was the easy choice for Terrie to choose to call home. She loved the proximity to the mountains and beaches and the small town vibe that Charlotte still offers. She truly loves everything about real estate but mostly the relationships that she’s developed along the way. She strives to provide a seamless transaction for each client. In her spare time, she enjoys cycling outdoors, spin class, yoga, and travel. Susan is a seasoned agent with 18 years of experience. Prior to her real estate career, she worked in the international and financial money markets. She is a native Charlottean and also lived in New York for 14 years. She is licensed in North and South Carolina and holds the SRES designation (Senior Real Estate Specialist). She is extremely organized and patient and enjoys working with people from all walks of life. In her spare time, she enjoys reading, playing ping pong, and watching Netflix. Zack has been involved with real estate investing for more than a decade. He is a member of different investors associations in North Carolina and understands what it takes to build a solid real estate portfolio. 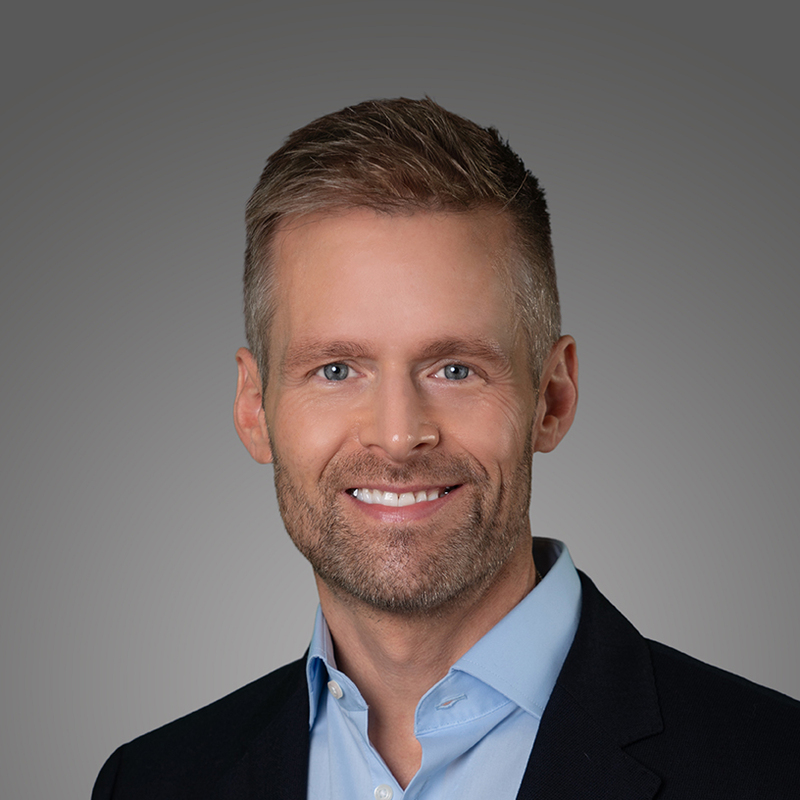 Zack graduated with an engineering degree from The Netherlands, holds an MBA in the U.S. as well as a PMP certification; he is actively involved in business advancement and process improvement. Zack’s objective is to utilize his experience, background and passion for real estate to serve you so you can count on a professional, pleasant and smooth transaction that makes sense for you and your family. 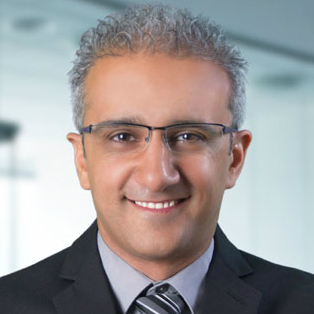 Mustafa Elqadi has been a Real Estate Broker and investor for more than 10 years. He is licensed in NC and AZ. He is a Certified Negotiation Expert. It is his commitment to deliver the highest level of service to his clients and those they refer to him in an effort to earn their deepest level of trust. His objective is not to just help his clients buy or sell a home, but to build a lifelong relationship based on trust and respect. 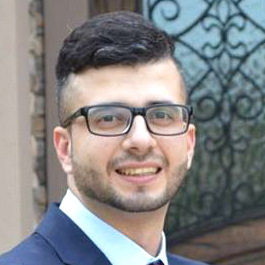 Mustafa made a promise to himself and to his clients that his energy will always be 100% focused on their real estate goals and dreams. When you are looking for a Charlotte Realtor who will listen, advise and guide rather than push, look to Mustafa Elqadi. Brittany is a licensed residential agent in both North Carolina and South Carolina. Professionalism, deep market knowledge, and unparalleled marketing concepts give her the ability to guide her clients through the purchase or sale of their home with the least amount of stress possible. But it is her commitment to her clients, enthusiasm for life, and sheer determination, that drive her to the forefront of the real estate industry. Catherine Fleming has lived in Charlotte for 25 years and has sold real estate in Charlotte for the past 13 years. She knows the city, and she knows how to listen, so she understands what clients need to make Charlotte their home. 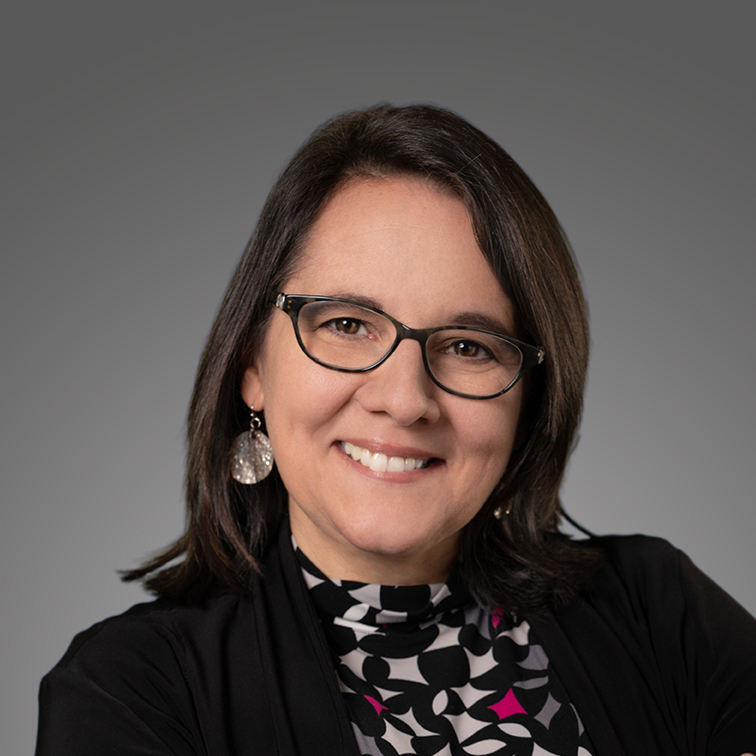 Catherine has an SRES (Senior Real Estate Specialist) designation that equips her to work with seniors who are making what can be a difficult move into a retirement home. She also works with first-time home buyers. Ninety percent of her business comes from past client referrals. Anne is a native of this area and enjoys introducing new residents to all the region has to offer. She has sold real estate forever in Charlotte and all the surrounding counties of North and South Carolina. 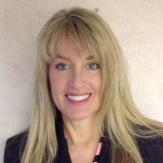 Anne is a Certified Residential Specialist and Accredited Buyer Agent. She graduated first in her class from the REALTOR Institute in Chapel Hill and earned her BA from Wake Forest University. Anne lives in the Village of Marvin in Union County with her husband, who owns a commercial real estate firm, and their two very spoiled rescue beagles. Her daughter and family live near Houston, TX, and her son and family in Huntersville. Trinh bought her first "flip" in 2000, and that sparked her interest in real estate. She became an active Realtor in 2007. She's a disciplined, organized and focused agent, and also a lifetime student. She's a strong negotiator and experienced investor who also can delegate and oversee renovations with tradesmen. When not working, Trinh loves to cook and host parties, foster rescue dogs, run, ski and spend time with loved ones. Ed is one of those rare finds, a native Charlottean. He has helped hundreds of buyers and sellers with their real estate needs since 1987. He earned his B.A. in Business from the University of North Carolina at Charlotte in 1985. His experience and training were obtained while working for some of the top companies in the profession including Merrill Lynch, Prudential Carolinas, ReMax and eventually owning his own company. Ed has seen Charlotte grow by leaps and bounds. He not only can help you with your Charlotte area purchase or sale, he knows the areas east of the Queen City, including Lake Tillery and Badin Lake, which are within an hour's drive. While his main passion is locating that perfect home or selling your current house, Ed has many interests. He is a cancer survivor. He enjoys family, landscaping, aviation, military history, dogs, cats and horses, leather and saddle work, carpentry and plastic modeling. Ed is a workaholic but also believes in balance. He is an active member of First Lutheran Church in Albemarle as that is located close to his Lake Tillery property. If you would like to have an “Ed-vantage” in the market place, give Ed a call. Beth is a Charlotte native who grew up on the south side of town between Myers Park/Eastover and the Arboretum. She currently lives in Union County. Beth works all areas Charlotte, including Waxhaw, Weddington, Wesley Chapel, Matthews, Marvin, Indian Trail, and Mint Hill. She is also licensed in SC and also has lots of experience in Tega Cay, Fort Mill, and Indian Land. Beth is an SFR, SRS, ePro, ABR, and has been nationally recognized for Top Customer Service and also Charlotte 5 Star. Pat has practiced real estate for more than six years. She enjoys helping people find that special home they are looking for. Pat started as a new-home buyer agent, where she learned a lot about builders, home sales, and how credit plays such an important role in the buying process. As a result, Pat has learned how to read credit reports so that she can help clients raise their score and purchase the home they want. It is such a happy experience when clients get to closing and receive the keys to their new home. Pat loves being part of that experience. Whatever your needs are, she is here to help get you into that home, be it new or resale. 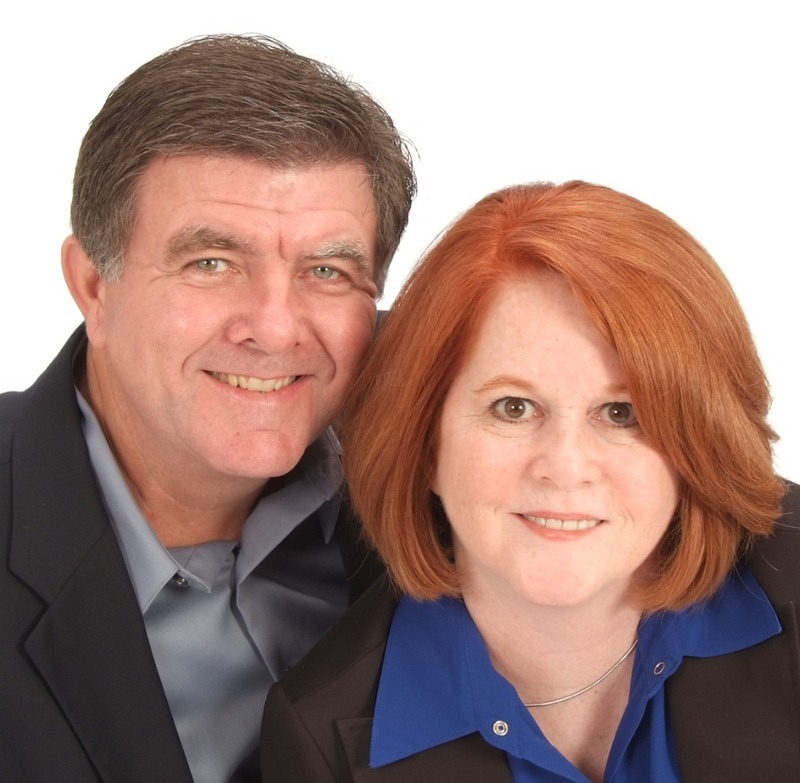 Bill and Monica Goss have helped hundreds of clients just like you since 1993. They make a great team; Bill was an engineering manager before getting into real estate and Monica’s background is in creative marketing. Their clients appreciate their in-depth knowledge of the market and detailed pricing analyses; their negotiating expertise, their detailed follow-up, and communication. They are both extremely resourceful in thinking OUTSIDE the box to solve any issue that may arise. Monica handles all marketing and client contact—listing homes and working with buyers; Bill manages all administrative and technical aspects of their business. Monica is a Hall of Fame member, an Accredited Buyer’s Agent and a Certified Residential Specialist (a designation that requires a minimum of 150 transactions and advanced coursework. Only 4% of all agents in the U.S. have earned this designation.) Monica was named a Five Star Professional by Charlotte Magazine in 2014 and 2015. Kelly has been in sales for more than 25 years, and for her, it's all about the people. She finds it especially rewarding helping older people sell or buy a home. When she's not busy selling real estate, she spends time with her four children, two grandchildren, and rescue dog. Kelly, who is a native of Charlotte, was a Cub Scout den leader for eight years, and she also is a scuba diver. Michelle moved from Greenville, SC, to Charlotte to attend UNCC in 1996. After graduation, Michelle worked for Transamerica Reinsurance briefly in the IT field. She was licensed in 2003 and has been a full-time real estate agent serving Charlotte and the surrounding areas ever since. Having two young children helps her to be well-informed about the school systems. She also specializes in short sales and foreclosure transactions. Michelle is licensed in both North and South Carolina. 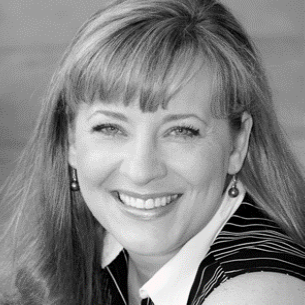 Renee has been a professional licensed realtor since 2009. She has been involved in many aspects of the real estate profession. From a live radio talk show devoted to the real estate industry to studying interior design, she embraces all she can to help her clients. She has volunteered on multiple planning boards and served as a city council member for 8 years. She desires to see communities be all that they can be! A native of North Carolina she also lived and worked for several years in Charleston, SC. A true Carolina professional, she loves helping others invest, buy or sell. Call her today! Buying a home involves much more than looking at a couple of listings online. There are hundreds of small steps you must accomplish between deciding to purchase a home and signing the papers at a closing. That's why choosing the right Realtor is important. I will guide you through each step of the process and handle the mundane tasks for you. That saves you time, and it also takes away some of the stresses while buying a home. I work with sellers and buyers of homes in the greater Charlotte area, while educating people on the process of buying and selling. Robin loves new construction, and home design. She completed The Interior Design Certificate Program in 2011. Experience in each of these areas inspired her to become a full-time real estate broker in 2012. She also studied the art of staging homes and receive an ASP® Accredited Staging Professional Real Estate Agent designation in 2014. Supporting our military is also a high priority for Robin. 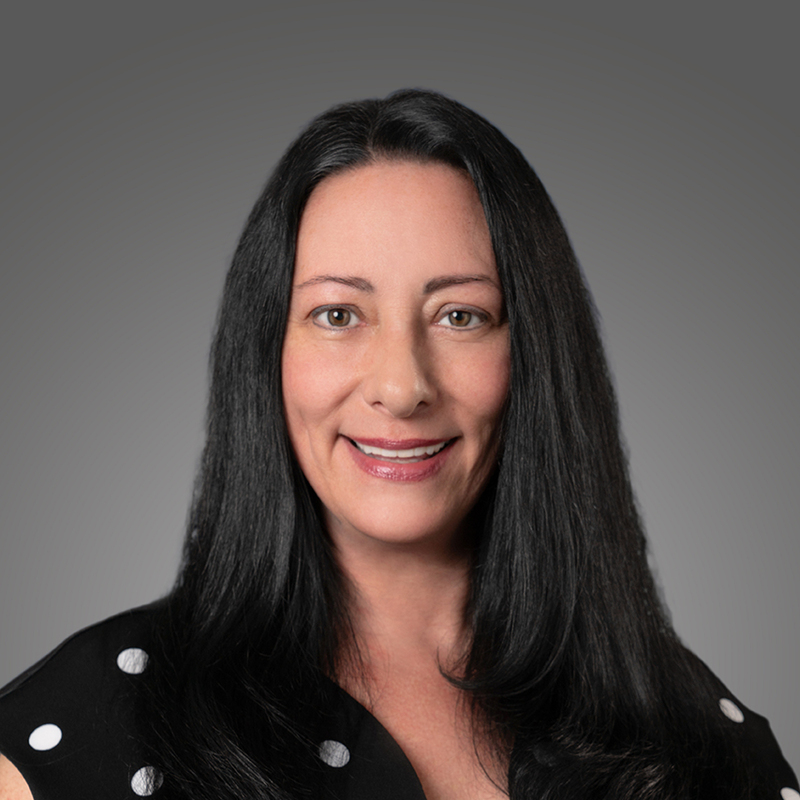 She is a Certified Military Residential Specialist and is happy to assist active duty and former military families with their home purchase needs. Prior to her career in real estate, she and her husband were PA natives. They relocated to the South Charlotte area in 1987. Loving the Fort Mill/ Indian Land area, they chose to settle down and raise their 4 boys there. Being a native Charlottean, I am not only knowledgeable about most areas of Charlotte Metro, but I have also resided in many of them! In 2005, I decided to make a change from my nursing career of 20 years and try my hand at real estate. My real estate career has allowed me to use my talents of asking questions and caring for people to now helping them find their new home. As an added bonus, I often work with my husband, who has 20 years on the mortgage lending side and is also a licensed Realtor. I am licensed in both NC and SC and my market area includes Greater Charlotte area, Waxhaw, Marvin, Weddington, Matthews, Mint Hill, Union County, Fort Mill, Indian Land, and Rock Hill. 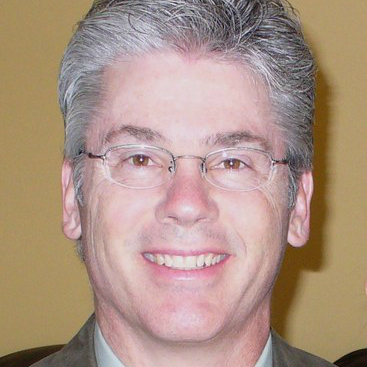 Roger Holloway grew up in Indianapolis, Indiana, with careers spanning entertainment (1968), ministry (1980), and real estate (2002). His ticket South was a business purchase in Hilton Head SC - Savannah GA (2008). Then on to Charlotte, where Roger returned to real estate, specializing as a New Home Construction Specialist REALTOR®. 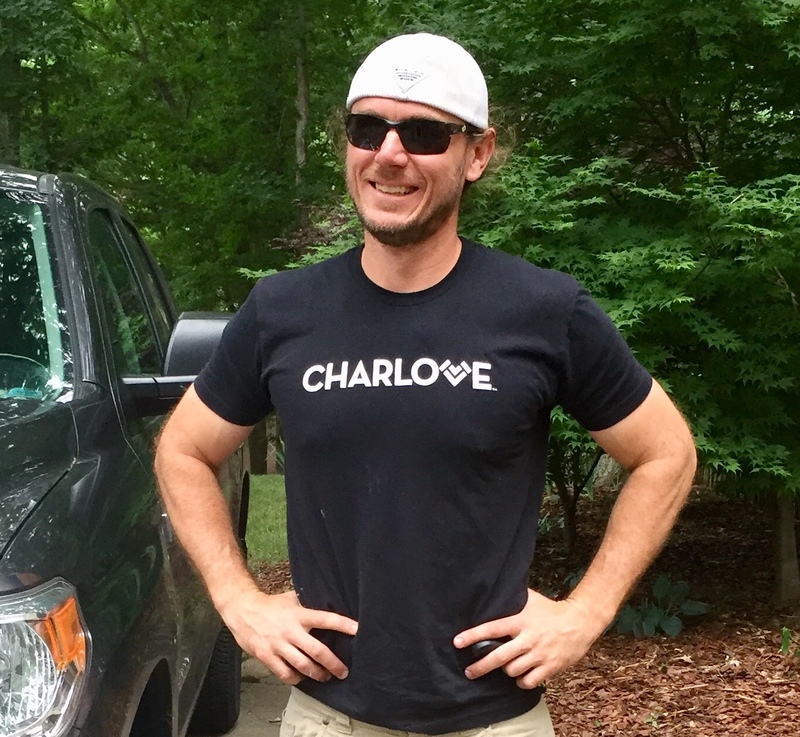 He uses original YouTube content to attract relocation buyers who enjoy his extensive videos to educate them about Charlotte and Fort Mill new homes and neighborhoods. Michelle is a native of the Charlotte area and brings with her 12 years of experience as a full-time agent in the Charlotte market! She is licensed in both North Carolina and South Carolina. Whether you are looking to buy or sell, Michelle will work hard on your behalf to negotiate the best possible deal for you! 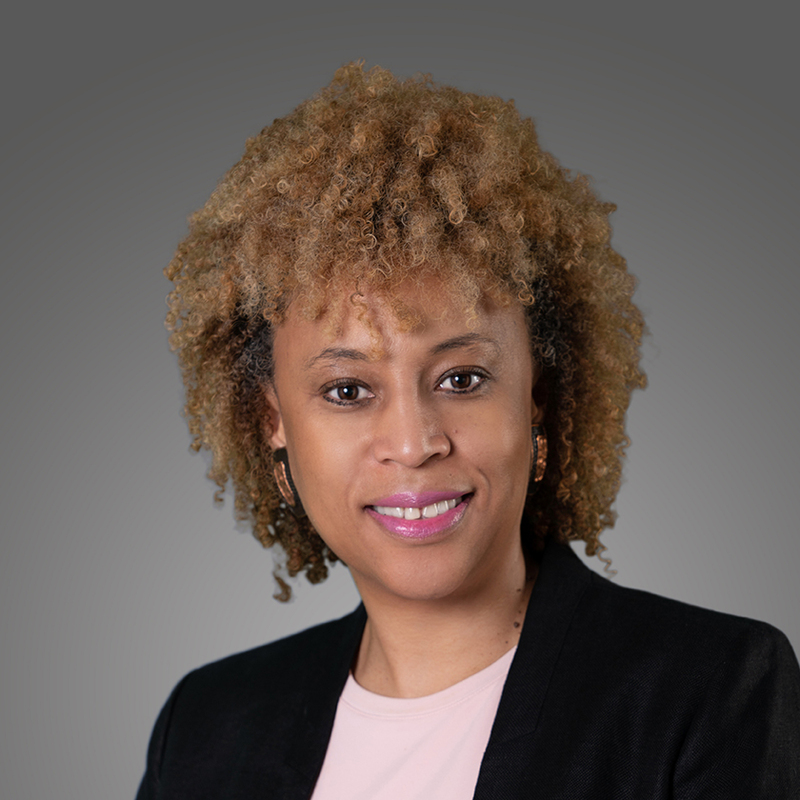 Joanna Housiadas is a Global Realtor who specializes in creating lasting legacies, wealth opportunities and community through real estate in the Carolinas and beyond. Selling in both North and South Carolina since 2012, Joanna joined ProStead Realty in May 2017. She is fluent in both Greek and English and graduated From UNC-Chapel Hill with a degree in International Studies and a minor in French. 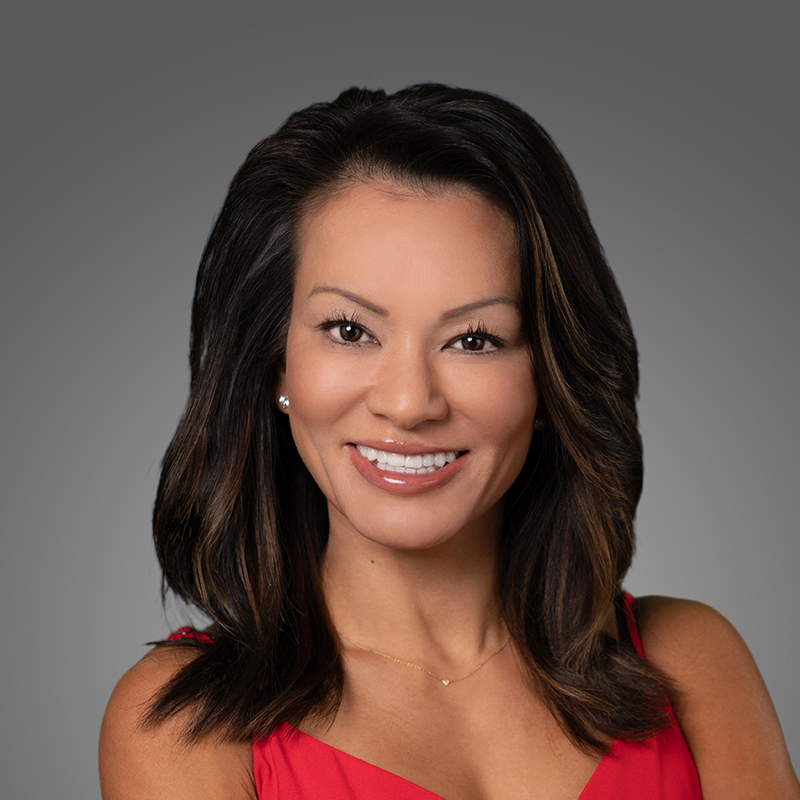 When she isn’t selling real estate, Joanna can be found taking yoga classes, attempting to learn another foreign language or watching NCAA basketball. For the past 13 years, Emily has assisted numerous buyers and sellers in not only the real estate process but also in the mortgage industry. 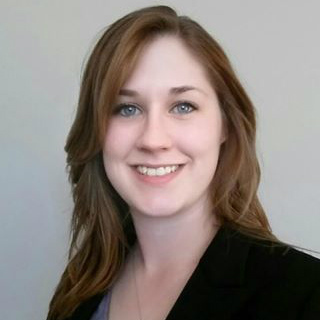 With her extensive background and commitment to excellence, Emily can assist you with all of your real estate needs. 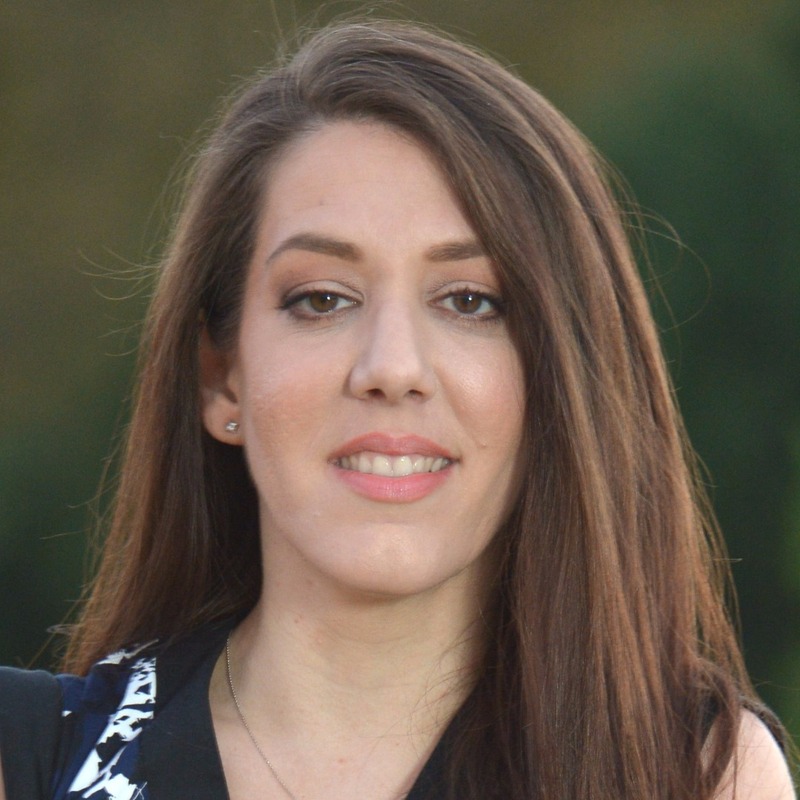 Paris is a native North Carolinian, born and raised, who currently resides in Union County. She is married with three beautiful children. 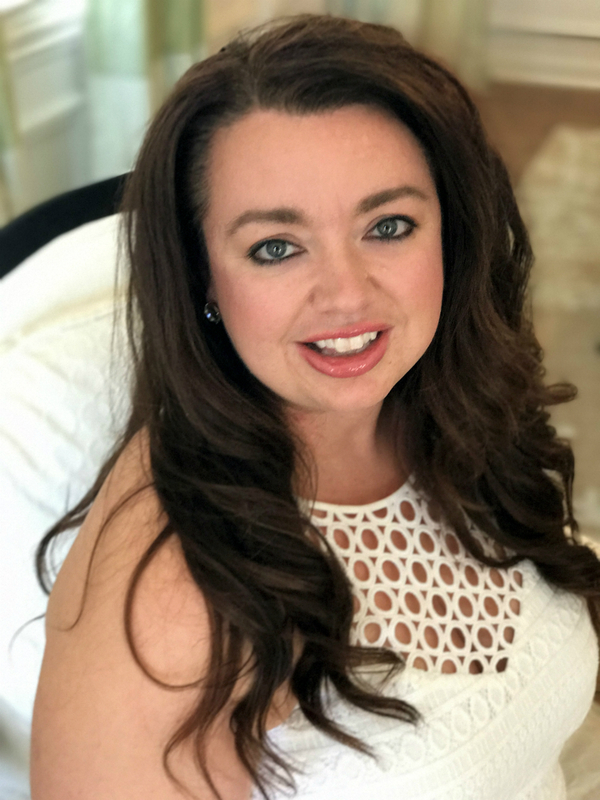 Prior to entering into real estate, Paris worked as a cosmetologist then realized it was time to pursue her passion in real estate and working with the public. Her real estate career began in new home sales, where she was on her way to the prestigious Rookie of the Year award. From there, she decided to expand her career and enter into general brokerage, where she has found her niche. Paris loves real estate and helping people find their dream home. When she is not running around for real estate, she is running around with her children and husband. 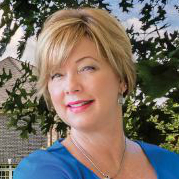 For more than 25 years, Beth Ivey has been a leader in the Union County, NC, residential real estate market, developing a significant following among home buyers, sellers, and developers. Respected industry-wide, Beth consistently exceeds $20 million sales volume annually. 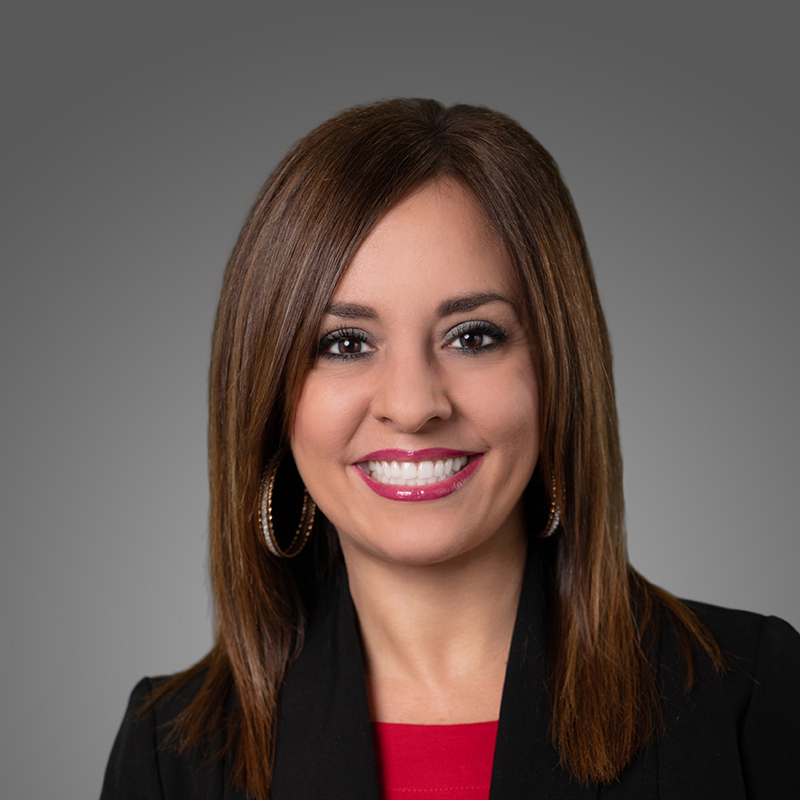 But her real estate experience extends far beyond that of a broker: She serves as an essential member of a professional team and is committed to providing personalized service and building strong client relationships. Beth is also an active member of her local 4-H organization and volunteers for Mitey Riders, a non-profit organization that provides therapeutic horseback riding. In addition, she is an active member of Saint Luke’s Catholic Church. Renee takes a different approach to real estate, one that focuses on identifying client needs and delivering excellent customer service and positive results. Renee will listen to you and find solutions that are tailored to you. 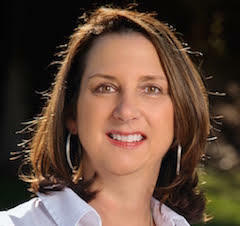 A native of South Carolina, Renee has lived in the Charlotte area for the last 20 years. As a wife and the mother of two daughters, Renee is active in the schools and in the community. If you want a Realtor who will work for you and put your interests first, call Renee today. Renee is licensed in both North and South Carolina. Josh is a rare Charlotte native who has watched and helped this great city become what it is today. He is an accomplished real estate investor and 'flipper' extraordinaire. With an uncanny ability to find that great deal and the know how to turn a run-down property into a showcase home, he'll bring a different perspective to buying or selling your next home compared to your average Realtor. His laid back attitude combined with his real estate and construction knowledge make him a pleasure to work with. So, if you're looking for a different Realtor experience or thinking about auditioning for 'Flip This House', give him a call - you'll like what you hear. Don't be surprised if he shows up in flip flops or work boots, but it won't be dress shoes. 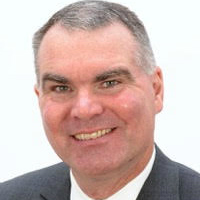 Mike Jones, has been licensed and actively working in the Charlotte market since 1996. He grew up in Matthews, attended East Mecklenburg High School, and received his Bachelors’ Degree from Appalachian State University. His background and knowledge run deep in the area of new construction. He has helped hundreds of people make the difficult decisions involved in building a new home. Whether it’s a new home or a previously owned home, Mike has the knowledge and dedication to help you through the transaction! 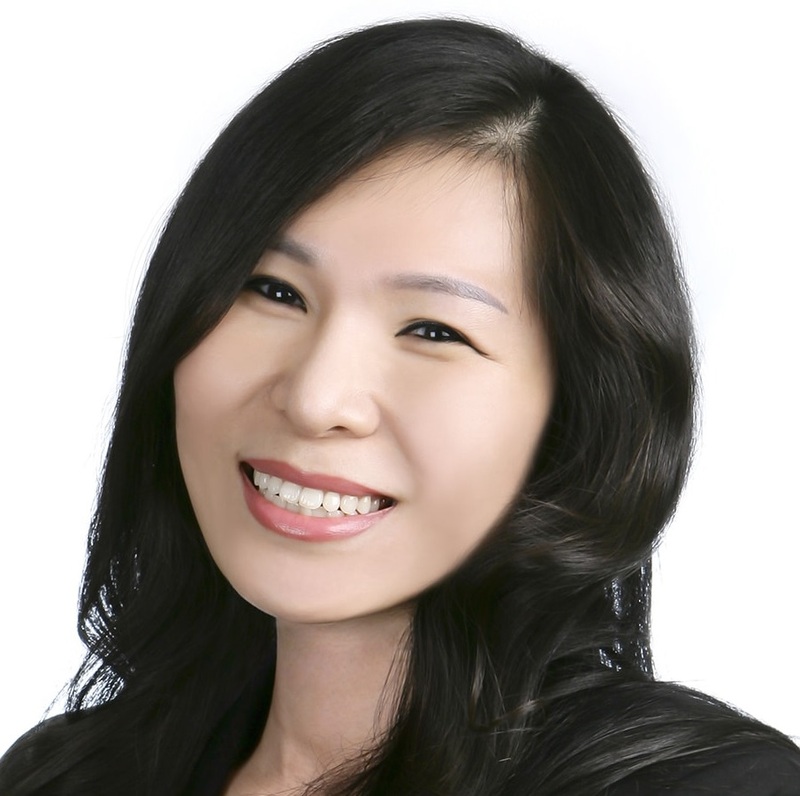 After obtaining MBA degree from the University of Toronto, Claire (Soohee) Jung became actively involved in real estate, working as a counselor for a land development company, a market data analyst and an investor. Currently, she is an owner of a real estate investment company and runs a property management company. She can certainly provide customized services to you based on your needs. As a part of ProStead Realty, which provides unparalleled professional services, her goal is to make your experience an enjoyable one and she will be with you every step of the way! 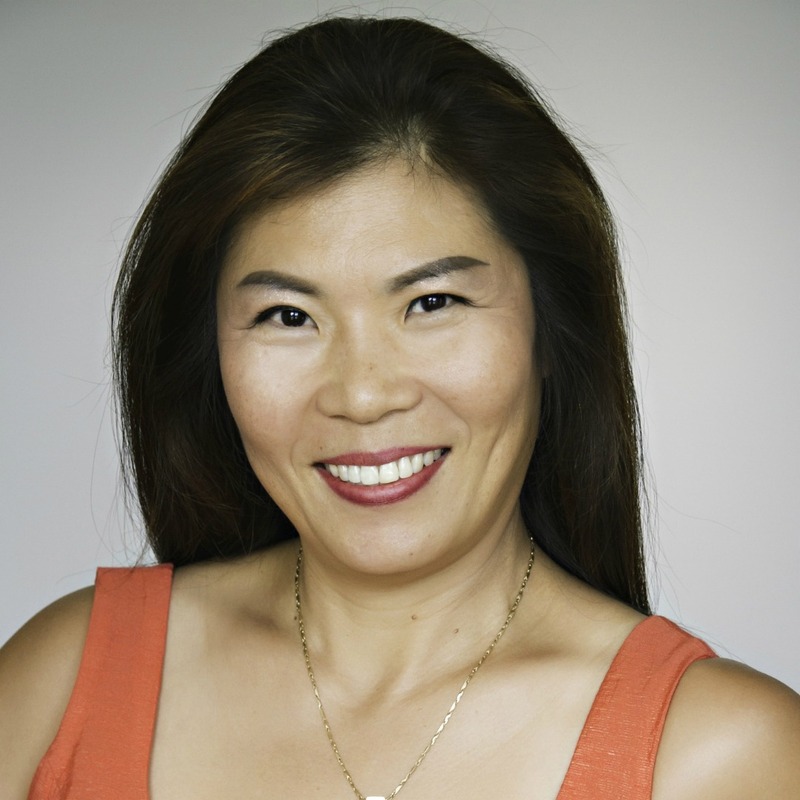 Sumi is a Canadian national with 20+ years of solid business experience in North America. Sumi has a strong background in the retail marketplace. Her experience includes owning and operating multiple successful retail businesses, together with many years’ experience of buying and selling retail and domestic properties. Since moving to the Charlotte area in 2015, Sumi has been actively involved in the real estate business. Sumi is fluent in Korean and English. When Sumi is not working, she is generally playing competitive tennis. She combines her interest in painting and art history with charity work and holds regular "Art and Wine" charity fundraisers for her favorite charities, World Vision and Operation Smile. Debbie is a native New Yorker who has called Charlotte home sine 1996. Raised with a strong work ethic, a close-knit family, and inherited artistic ability, these attributes help provide superior service to her clients. Her outgoing personality, excellent communication, and listening skill and her extensive real estate education allow her to get along well with all parties resulting in smooth transactions and very happy clients. Her loyal clients and peers have honored her 8 times with the Charlotte Magazines Five Star Award for excellence in customer service. Debbie is extremely grateful that over 95% of her business comes from referrals. Licensed since 2005, she is very proud of the "Alphabet Soup" after her name! Earning these designations shows a commitment to knowledge and excellence in her field which allows her to work with a wide range of buyers and sellers. 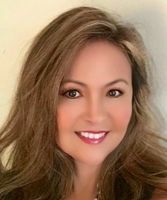 She is an Accredited Buyer Representative, Accredited Staging Professional, Certified Luxury Home Marketing Specialist, Seniors Real Estate Specialist and a Graduate of the Realtor Institute. 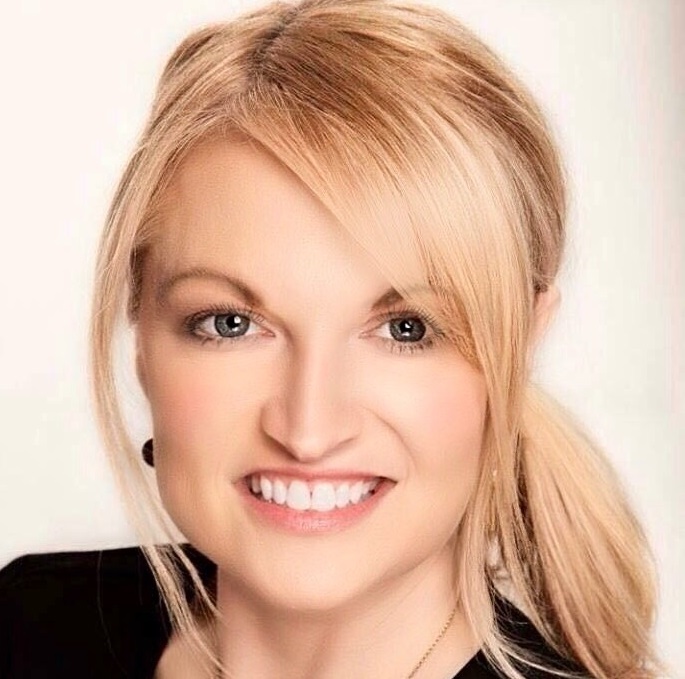 In March 2013, she earned the coveted Certified Residential Specialist designation joining the ranks of less than 4% of Realtors nationwide and was the 2013 recipient of the NC Real Estate Commissions' Philip T. Fisher Scholarship award for outstanding academic achievement in the CRS program. 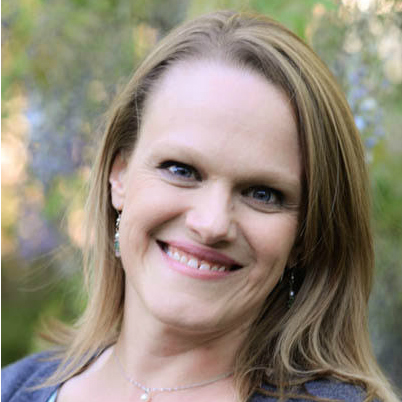 After being affiliated for the past 13 years with large franchises, she is thrilled to be part of the ProStead Realty family surrounded by true real estate professionals. Alex Kim is a thriving entrepreneur. He has been successfully running his franchise since 2004 and has been rewarded #1 in sales for the last 10 consecutive years. Despite achieving much success, he always wanted to get into real estate, and he became a Realtor in 2016. Alex plans to apply his same work ethics as a Realtor, using the knowledge he has gained running a business. As a Charlottean, Alex would like to make an impact here, providing his clients with professional service and care. Jimmy moved to Charlotte from Roanoke, Va., in 1984 while working for an envelope company in sales. Yes! He sold envelopes! After five years with that company, Jimmy started his own envelope company in 1990. He decided to take a chance. 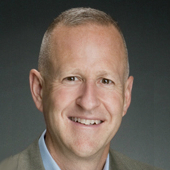 Jimmy grew that company rapidly, winning the title of #17 fastest-growing company in Charlotte in 2005. After much success, he sold the company in 2010. Jimmy decided with his knowledge of business and the Charlotte area, real estate would be a perfect fit. He has applied the same principles and integrity to his real estate practice. 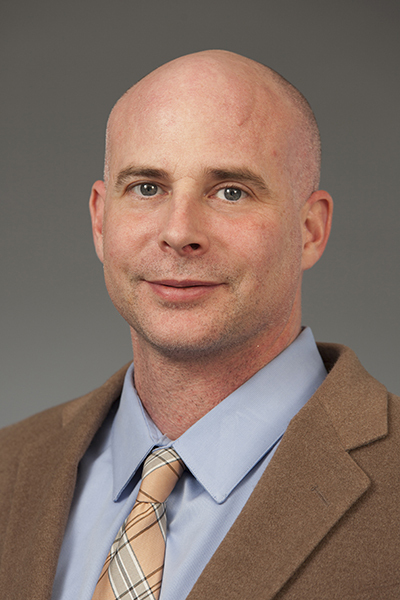 Jimmy is licensed in NC and SC and has a Senior Specialist designation. When he is not selling real estate, you can catch Jimmy on the golf course or traveling. Selling real estate since 1997, Maria has assisted hundreds of families with buying and selling their homes. In fact, Maria’s clients think so highly of her that quite often, she’s asked to help multi-generations of the same family! As an active volunteer translating for the Korean community, Maria is always quick to step up to the plate and help as needed, whether it’s personal or business. 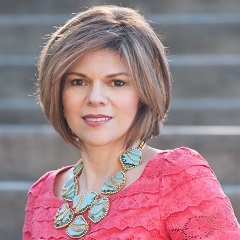 Maria is licensed in both North & South Carolina and will be more than happy to help you with your home buying or selling needs. Min is licensed in both North and South Carolina and works with clients all over the Greater Charlotte area. 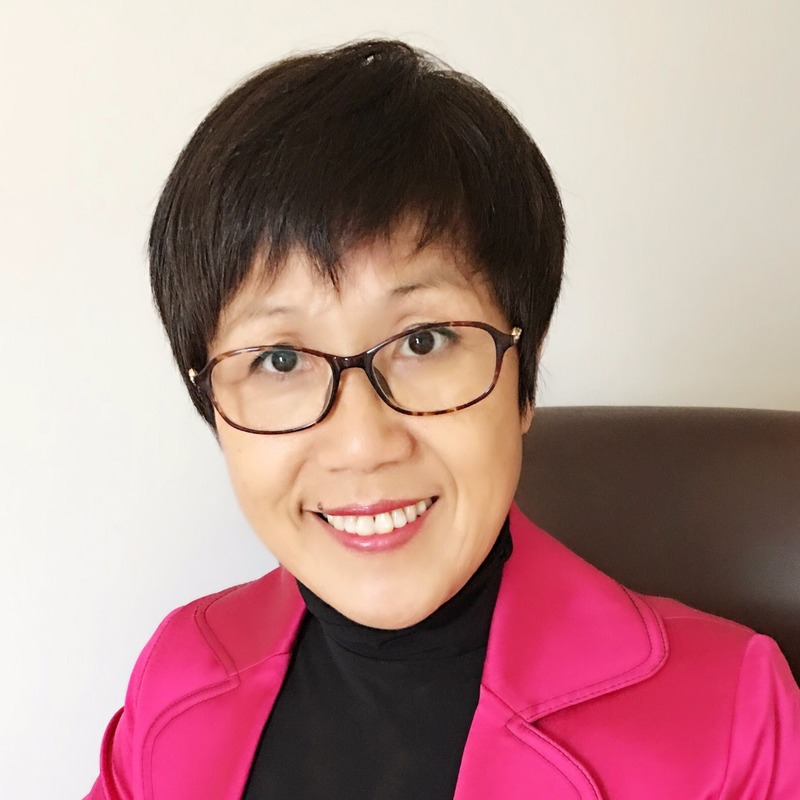 She is fluent in Mandarin and is happy to assist clients needing her expertise. She was formerly an eye doctor in China and has dealt with all types of people throughout her career. 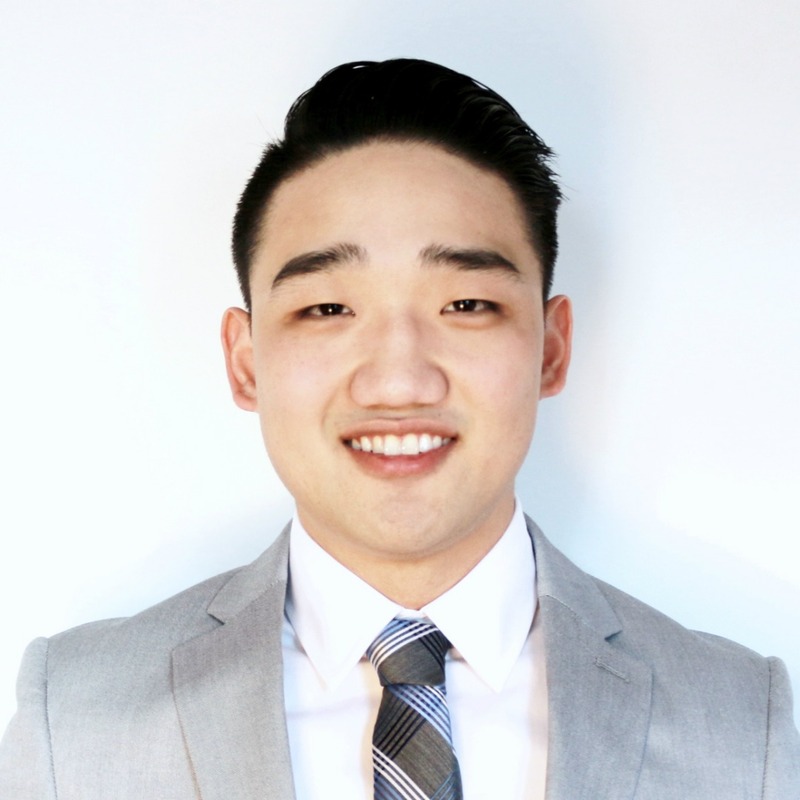 Min has experience both as an investor and has worked with clients who are investors. In her spare time, she's a devoted grandmother to two little ones and enjoys oil painting. 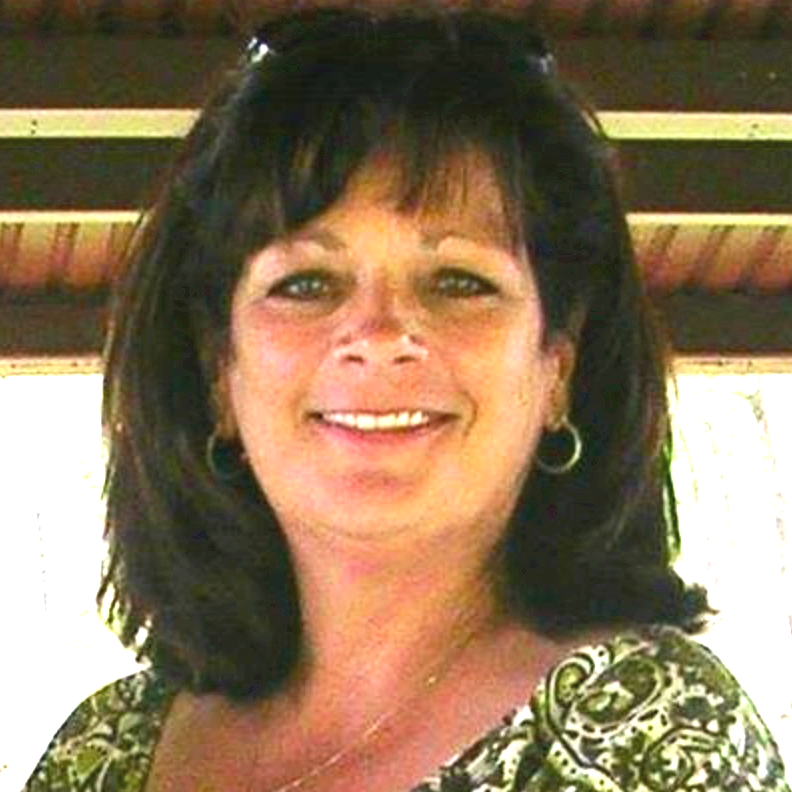 Irene Liapis is a native South Carolinian living in the Charlotte area for over 20 years. 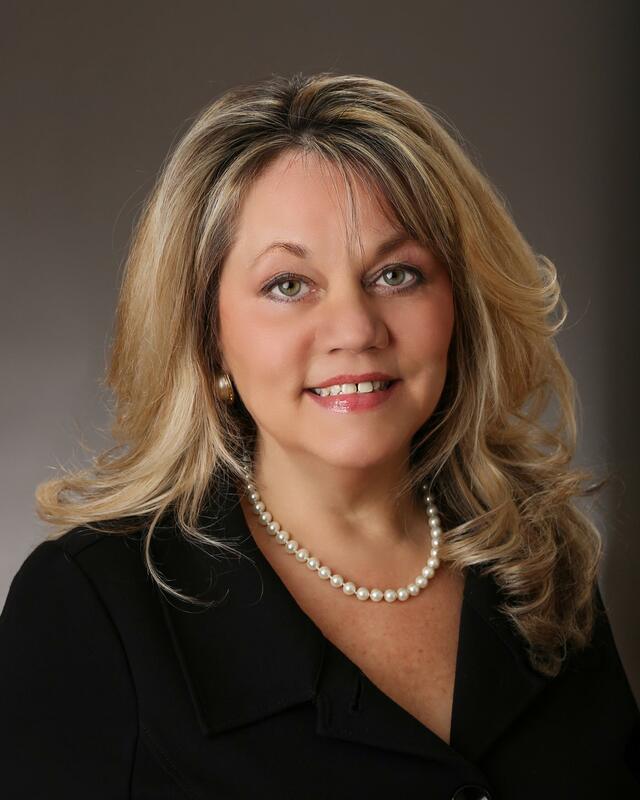 Recognized as a Hall of Fame Broker with 16 years in the real estate industry, Irene’s expertise is in South Charlotte, Matthews, Mint Hill, Weddington, Waxhaw in NC, and Fort Mill, Indian Land and Rock Hill areas in SC. Thankful to live in Charlotte, she LOVES relocating homeowners to the South as well as assisting investors, first-time home buyers, seniors and all transitional moves in between! Irene has extensive experience representing excellent builders with their new construction as well as assisting homeowners with their next move. Irene’s 10 years of corporate experience in finance and marketing allows her to easily analyze the markets she works in. She takes pride in helping her buyers find a home they love that is also a smart investment! For her sellers, she works to position her clients to maximize their proceeds at closing! Irene is married for 30 years with three terrific children. She enjoys the outdoors, tennis and golf. She is Greek Orthodox and loves supporting her church, Children’s Miracle Network, Camp LUCK and of course, the CAROLINA PANTHERS! With a degree in finance, extensive experience as a project management professional and 10 years in real estate, Junyne understands the nuances of the transaction and the importance of ensuring the satisfaction of her clients. As a mom of two teenage boys, she strongly believes in the value of balance both personally and professionally. In her down time, she enjoys reading with her book club, traveling with friends and family, and supporting her sons in their extracurricular activities. Fran has been serving the real estate needs of the Greater Charlotte area since 1995, when she relocated from New York/New Jersey with her incredible family. She has lived in various places along the East Coast and experienced the ups and downs of relocation. Her 22 years of knowledge within the real estate industry are supplemented by previous sales experience from other businesses. She also has worked in new construction for New Home Sales, with first-time home buyers, investors, relocation companies, and even relocated families all around the country. She works as both a listing agent and a buyers agent, selling single family homes, multi-plex homes, condominiums, and townhouses. 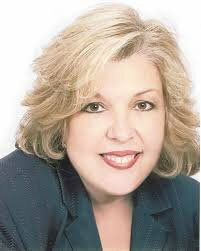 She has counseled numerous families on short sales and foreclosures in all price ranges, including luxury homes. 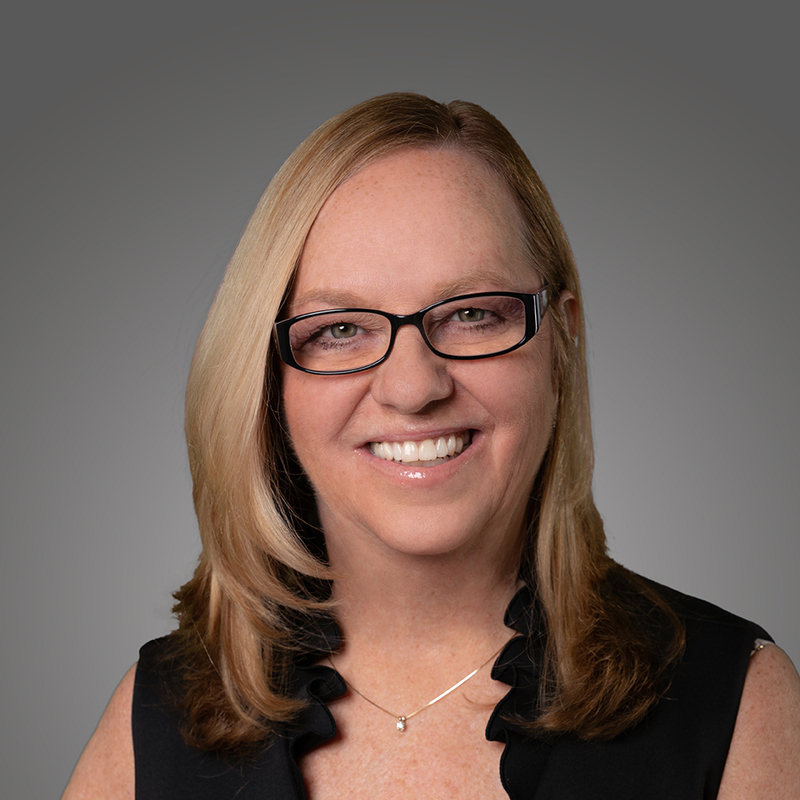 Fran takes pride in paying thorough attention to detail to avoid potential problems in the home buying process and strives to maintain close contact with clients to ensure that they are continually updated on their sales progress. I am a transplant from New York who was planted here 20 years ago. I live in Charlotte and have been doing real estate since 1998. I bring experience and knowledge of all types of properties. I am licensed in both North and South Carolina. I have helped people find homes and land of all types. I really enjoy helping buyers and sellers get to the next step in their lives. I do not think of real estate as my job but as adding new members to my real estate family. I always go the extra mile for my clients, and I strive to exceed their expectations on every transaction. “Syl” grew up in New York City and moved to Charlotte in 1983. 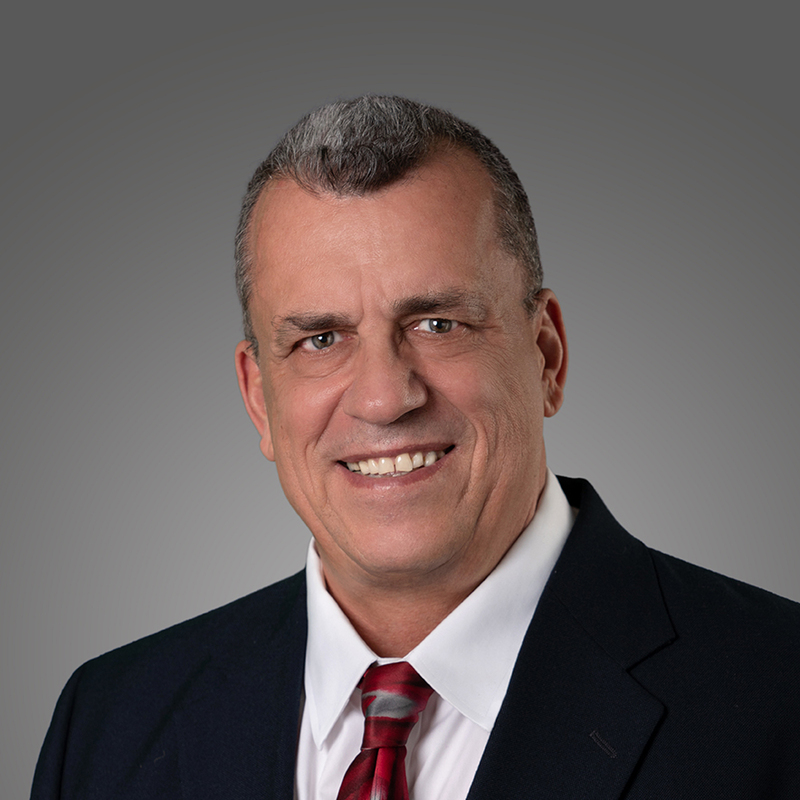 He has been a Realtor since 1988 and is licensed in both North and South Carolina. Syl was with RE/Max for 20+ years and is in the RE/Max Hall of Fame. Working with both buyers and sellers gives Sylvester the market knowledge and experience that has benefited hundreds of satisfied customers. Sandra McKelvey has been in the real estate industry for many years. She holds an MBA and an MA in Information Technology. Prior to real estate, she was a college professor. 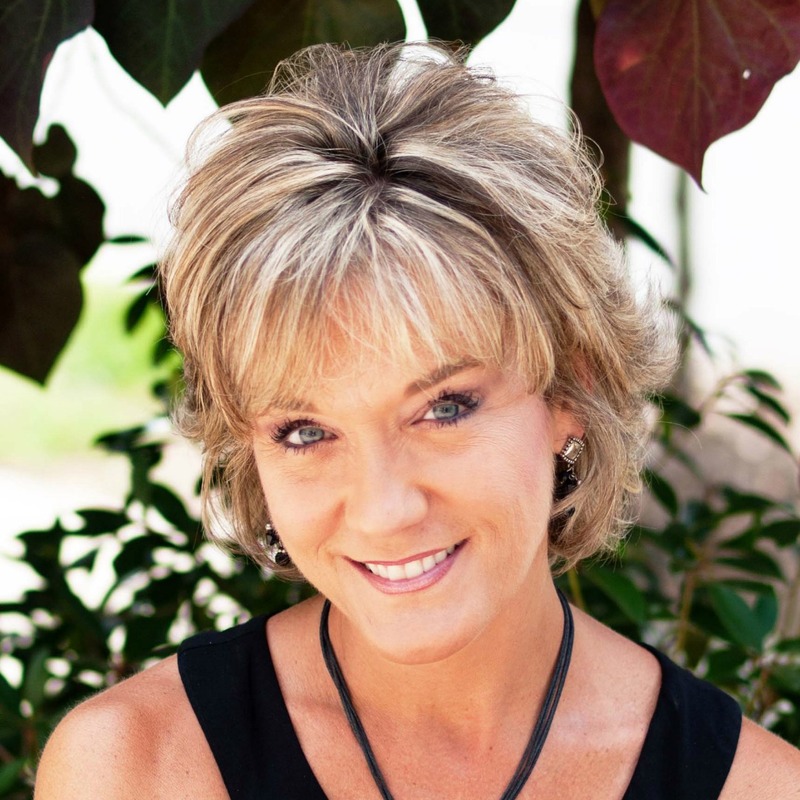 Sandra strives to understand her clients' needs with one-of-a-kind service and support! She has lived in Charlotte for more than 12 years. She truly loves the area and would love to help you find your new home! 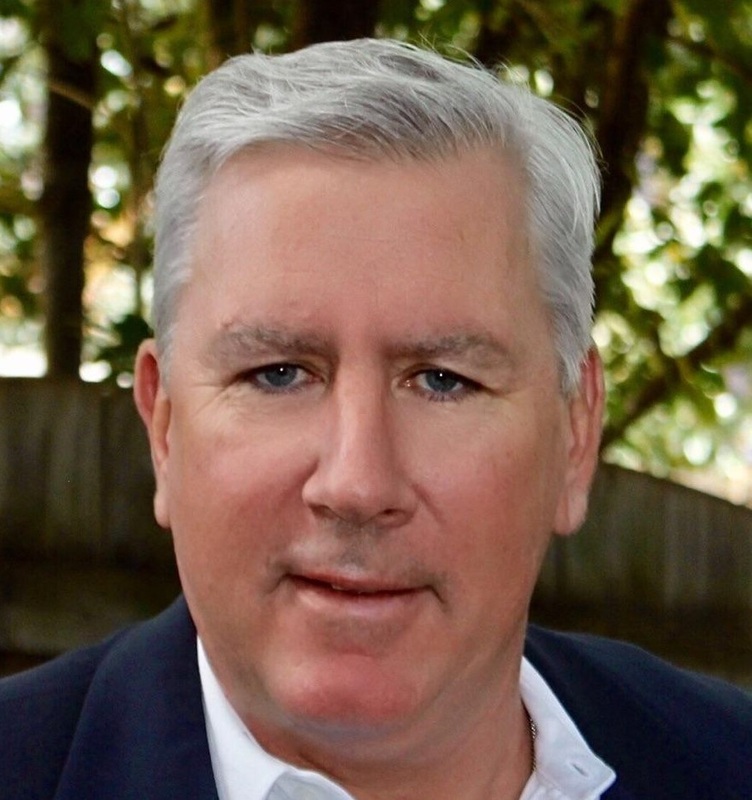 Bill is a native Charlottean and licensed broker in North Carolina and South Carolina. 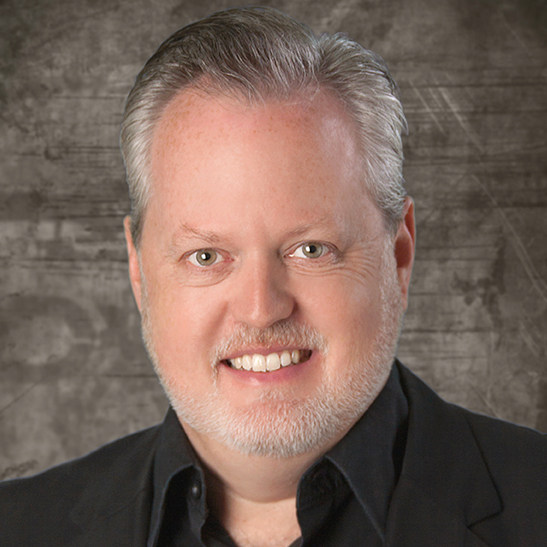 Having more than 22 years of real estate experience, Bill received the nationally recognized Certified Residential Specialist designation, which is held by only 4 percent of Realtors nationwide. He is also a Graduate of the Realtor’s Institute and a member of the National Luxury Home Council, and he has earned the Accredited Luxury Home Specialist designation. Bill received the “Five Star Best in Client Satisfaction” award in 2008 and 2009, and numerous company awards for outstanding sales achievement and customer service. Donnie is a seasoned licensed Realtor/Broker in North and South Carolina and holds a BS in Accounting from the illustrious university known as North Carolina A & T State University (AGGIE PRIDE). His passion is serving clients in order to help them obtain their real estate goals. Why? Because he wants to be their professional "Go-To," "Got it Done," "Never Quit," "Straight Shooter," "MVP," "Champion" Realtor for life. As a veteran of the US Armed Forces, he truly knows the meaning of service and failure not being an option! 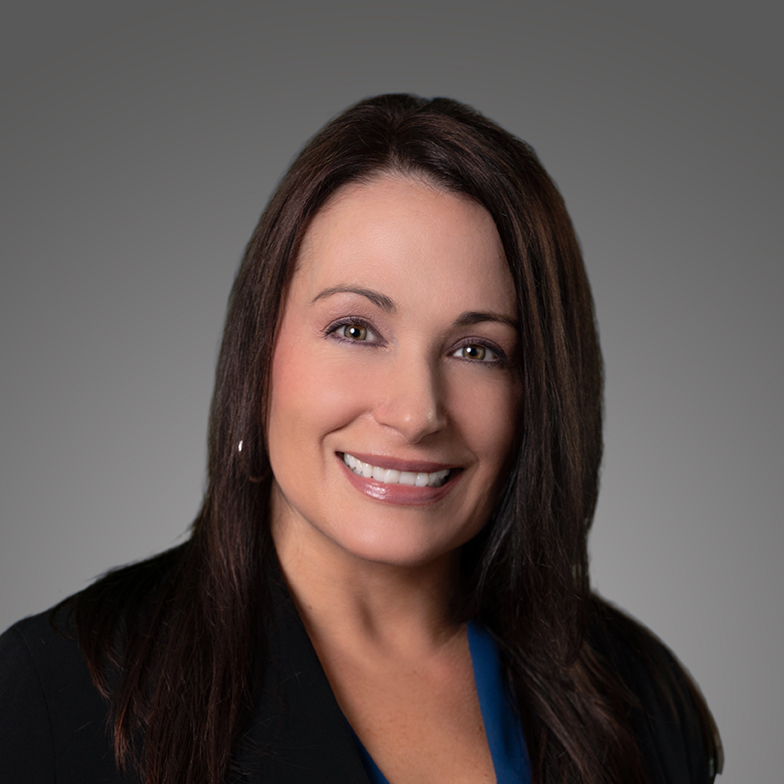 Having worked in both the residential real estate industry as well as the mortgage industry, Allison has merged her knowledge of the two to become a well-spoken real estate Broker, ready to serve your needs. Allison resides in south Charlotte with her husband and looks forward to assisting you with all of your real estate needs! As a professional real estate broker in Charlotte, Walid continually works to relieve the stress from what has become an increasingly complicated real estate process. His goal is to help clients realize their real estate goals by effectively coordinating, negotiating, and advising. He is interested in negotiating to win/win, and in the simplification of the buying and real estate search process. Walid can also be described as an open networker seeking to connect to a global community of leaders. He has a particular interest in professionals in the real estate, underwriting, REO, private equity, banking, financial services, commercial lending, relocation, and human resource industries. I am a native of Charlotte and have been a licensed real estate broker since 1998. I specialize in all of Charlotte, but especially Lake Norman. If you are looking for information or you are in the market to purchase or sell property, I invite you to take advantage of my experience and knowledge of the area. I offer client-level services for both buyers and sellers, with special emphasis on customer satisfaction and RESULTS. Taren moved to North Carolina from North Florida in the early ’90s with her husband and three sons. While riding around in a van full of kids all summer searching for vacant land, Taren realized that real estate was the career for her. She has been licensed for more than 20 years and managed her own brokerage firm. 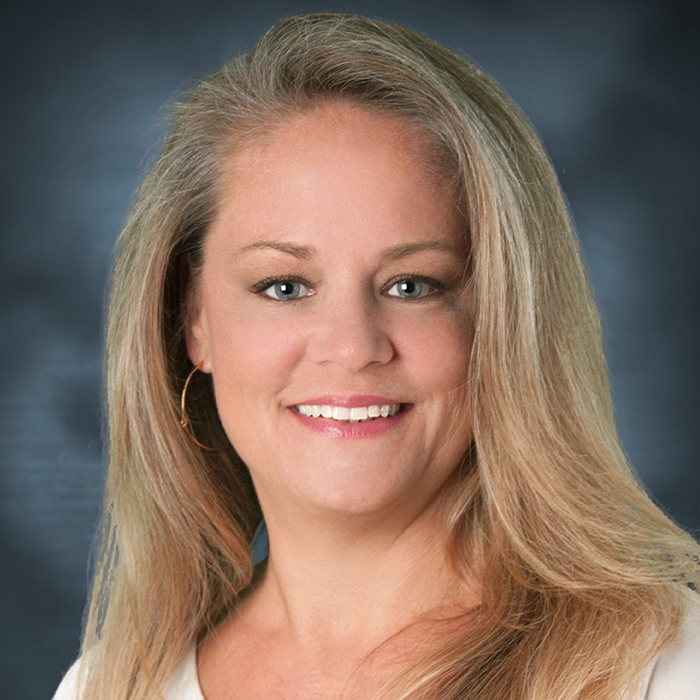 Taren has helped many people buy or sell their home in the Charlotte region over the last 20+ years. 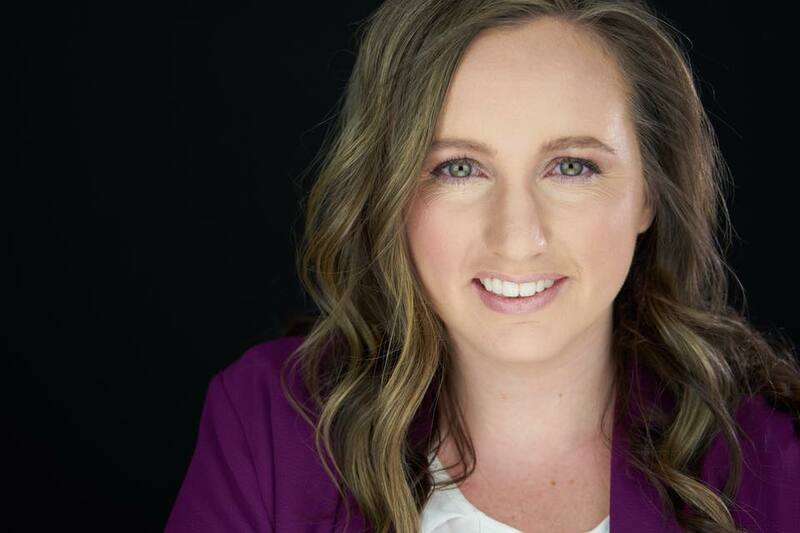 The real estate industry is constantly changing and Taren believes she owes it to herself and clients to stay informed and educated. There is no better teacher than experience. Buying or selling a home is a major event that most people only do several times in their lives. It can be emotional, rewarding, and exciting. Taren excels and enjoys helping people navigate through the process by utilizing her years of experience to make the process successful and smooth. Abby grew up in a military family and understands the trials and tribulations of moving. She has a teenage daughter and is active with the school system. In her spare time, she loves to hang out with friends and family at the pool or spend her time working with her horses. Whether you are a first-time home buyer or a move-up seller/buyer…..she is here to help. Abby is licensed in both North and South Carolina. As a Charlotte native, I have extensive knowledge of the Charlotte Metropolitan area. I have a passion for my real estate career, one in which I am committed to by my continuous training and intensive market research of Charlotte's real estate trends. I take a different approach to real estate, one that is built on personal touches, communication, winning deals, and positive results. My team and I utilize the latest technologies, market research, and business strategies to exceed our client's expectations. 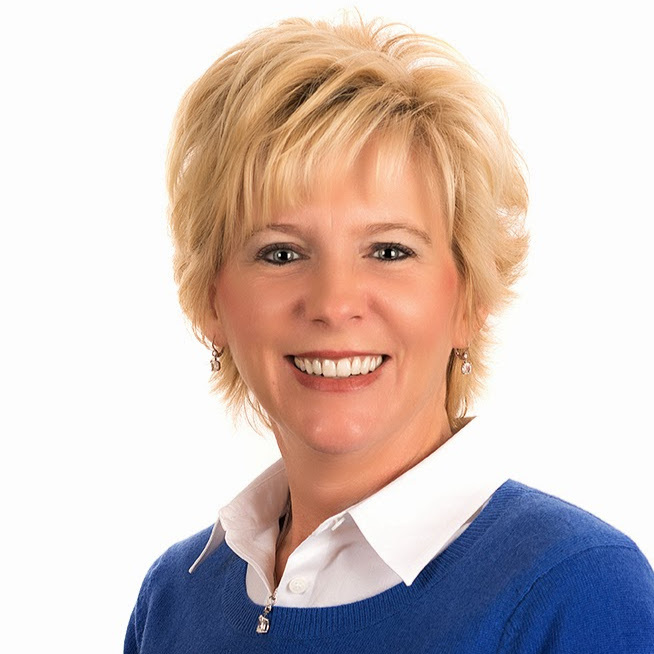 With a successful track record in the appraisal business as well as the real estate industry, Wendy can help you with all of your home buying and selling needs. A native of West Virginia, she’s lived in the Charlotte area for more than 14 years and has mastered the market. She resides in Matthews with her husband and two children and is actively involved in her community. Chris seeks the privilege of professional real estate representation to buyers and sellers in Mecklenburg and Union counties by providing high-quality marketing services, accurate real estate information and honest evaluation. The purchase or sale of a home involves a number of complex personal and financial decisions on your part. Each of these steps should be clearly understood by you. Since you will also enter into a number of contractual obligations with the seller or buyer, it is also crucial that you that understand your rights and responsibilities. Chris has been a Realtor advocate for more than 25 years and knows that every client is unique and every transaction different, so clear communication and coordination is vital to your success. 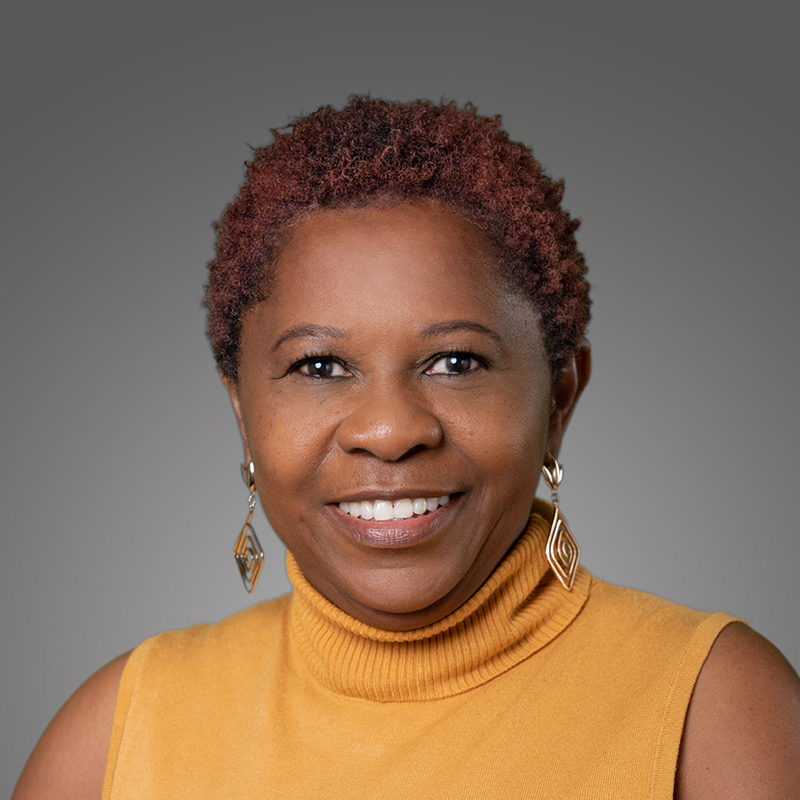 Gracie Obuseh taught chemistry for many years and has been a dedicated real estate agent in Charlotte and surrounding areas since 2001. She continues to provide superior service to buyers and sellers. She is experienced in residential and commercial real estate transactions and is licensed in both North and South Carolina. Making Real Estate dreams come true! Whether you are selling and moving on to the next chapter in your life, buying your first home or securing your financial future by investing in rental properties – I am your Realtor. A full-time Realtor licensed in NC & SC since 2002, I have called the Ballantyne area in South Charlotte my home since 2001. 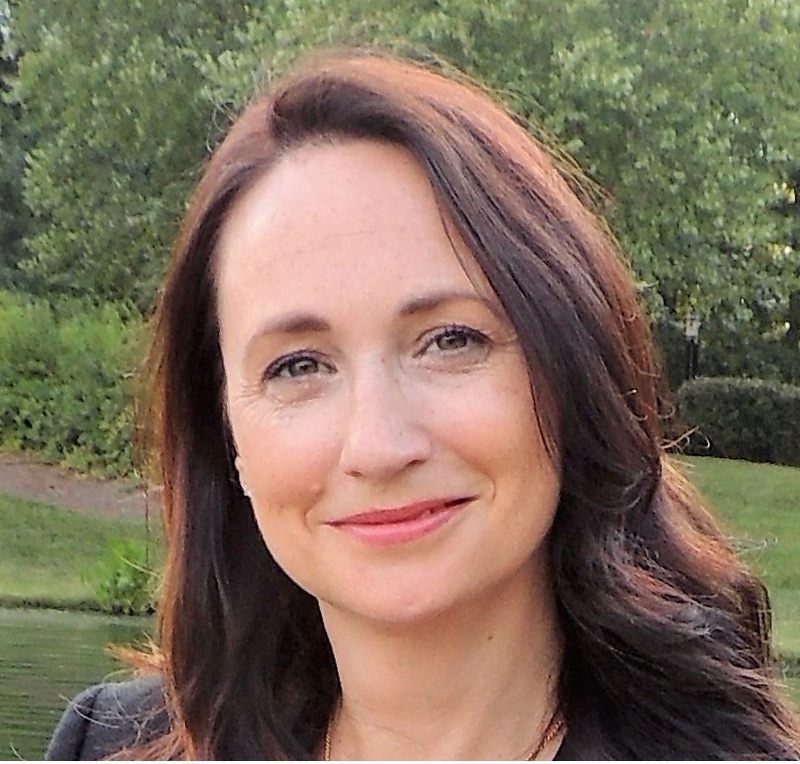 I grew up in Ireland and began my career in accounting in Boston, MA. One of the best decisions I ever made was to raise my family in the beautiful city of Charlotte, NC. The purchase or sale of a home is one of the most complex and significant financial events in life. I take this seriously and as your trusted real estate partner I have the expertise, proven track record, and resources to help you achieve your real estate goals. I pride myself on my responsive communication, integrity, high tech marketing, and precise up to date information on market trends. In my free time, I like to be outside exploring all the wonderful resources our area has to offer. Joel Osbert has been in real estate since 2014. He’s lived in Charlotte for more than 15 years and is very familiar with the area. Before developing a passion for real estate and helping people with their transactions, Joel was in the service industry and had an online business. In his spare time, he enjoys traveling and playing sports. 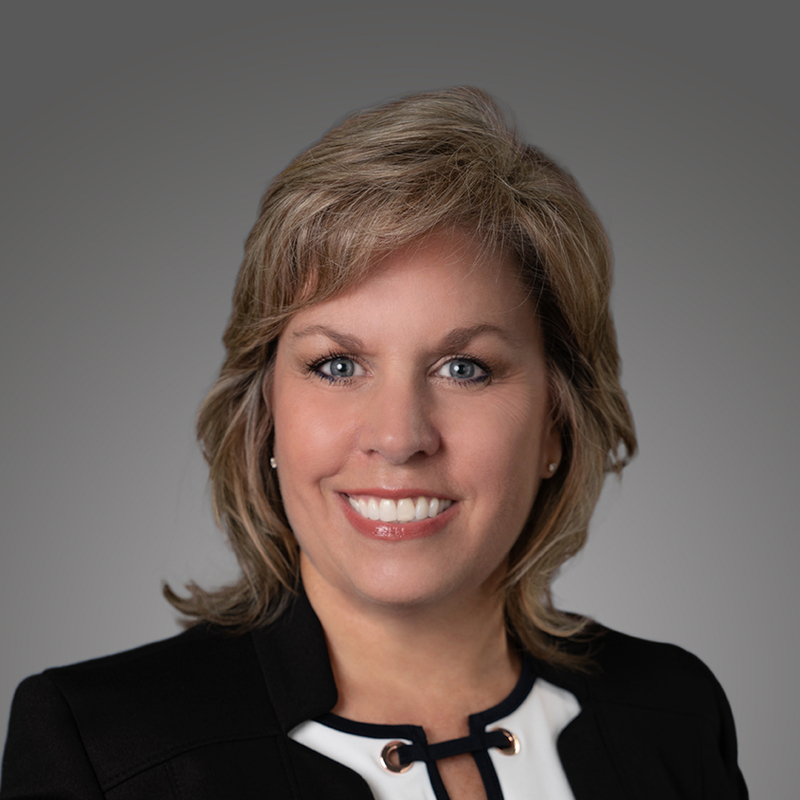 Cyndi grew up in Charlotte and is licensed in both North and South Carolina. She enjoys working with buyers and sellers in all stages of their lives. She has worked exclusively with a custom builder and understands the process of new construction. She also enjoys working with first-time buyers, as it allows her to share her knowledge of the market with them. Cyndi is not just a real estate professional but is a trusted advisor who has built lifetime relationships with her clients. She would love to assist you with your real estate needs! After graduating from the University of Pittsburgh with a B.S. in Business/Marketing, Kimberly left Steel City and decided to give Charlotte a try. She fell in love with Charlotte and its surrounding areas. Kimberly believes in 110% customer service and treating clients like they are number one, especially after the sale. She feels so privileged to be a part of a client's journey, and it is her honor to take care of them, from start to end, and after. Kimberly takes great pride in her 5-star agent awards. In addition to being a Realtor, Kimberly is an accredited Stager who can get your house ready to market. Staging, if needed, increases your price up to 20%. If you want your real estate agent to take care of you, treat you like gold, have knowledge of the market, always put your best interests forward, then she is your girl. I am a highly motivated and self-disciplined professional who adapts to new situations and environments quickly. Committed to hard work, with an excellent capacity for attention to detail, I'm experienced at managing a variety of projects. My mission is to make the process of buying or selling a home a smooth transition while providing excellent service and outstanding results. Joan Plavnicky understands that each real estate transaction is one of the most important decisions in a person's life. Joan is committed to her clients, and they speak highly of her dedication, negotiating skills and thoroughness to detail. Many become personal friends during and after the transaction which helps make the experience enjoyable for all. Joan's interest in real estate grew out of her personal experience, underwriting mortgages as a bank executive and buying and selling homes in the various markets where she has lived. She is a personal pro at relocating but thrilled to finally call Charlotte home. 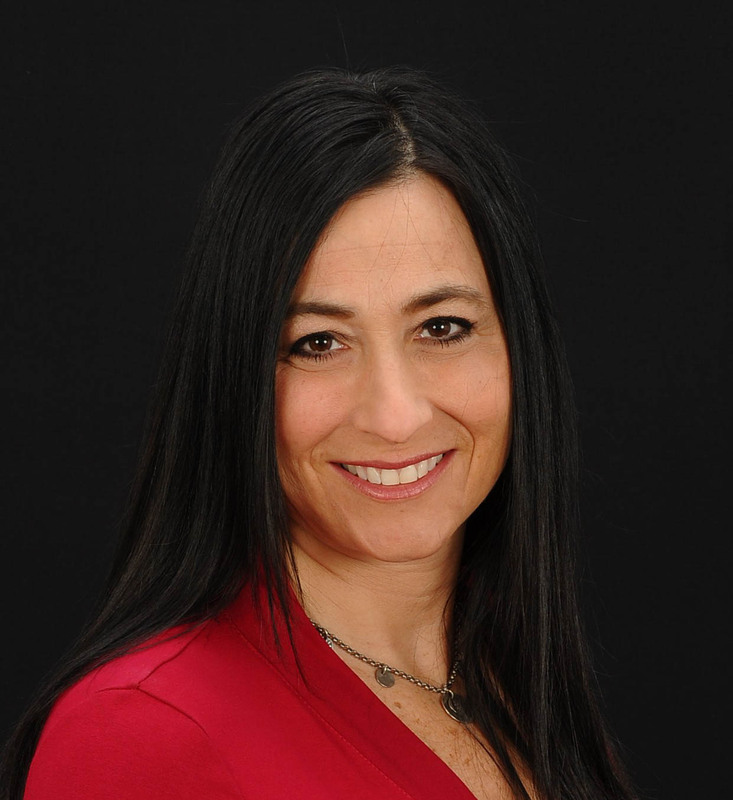 Living throughout the country, including CT, MA, NH, CA and in Charlotte for over a decade, she has developed extensive personal experience in real estate to help her clients. Since moving to Charlotte in 2005, Joan has been active in her community and church. One of her most enriching experiences is working with St. Matthew’s “Moving On After Moving In Group,” a nondenominational program that connects people to spiritual and emotional support to help them successfully adjust to their new community after relocation. 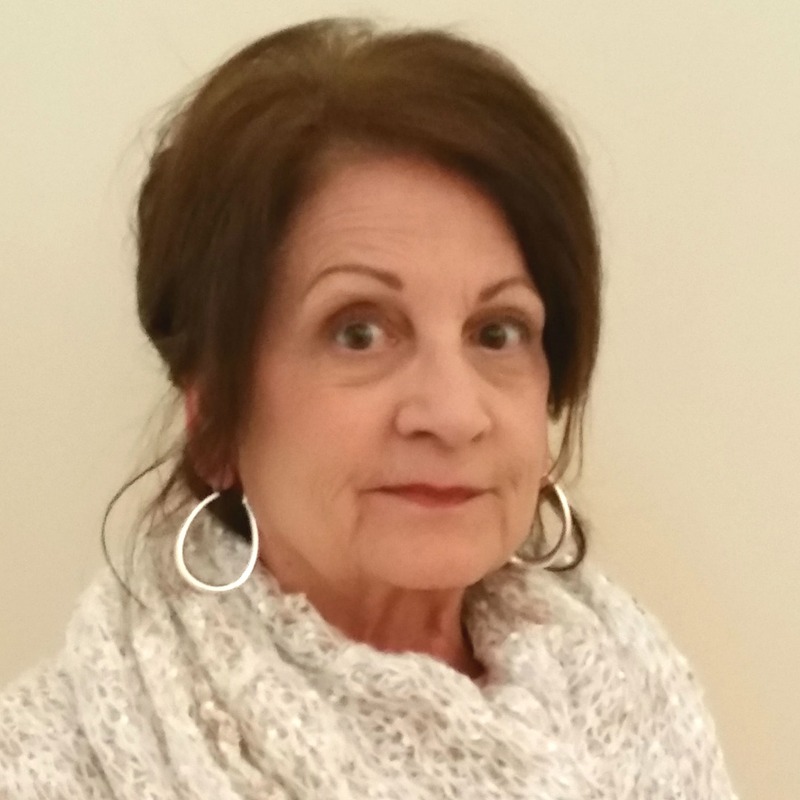 Joan is a regular contributor to the National MS Society, United Way, Salvation Army, Goodwill Industries, March of Dimes, Catholic Charities, and St. Matthew Catholic Church. 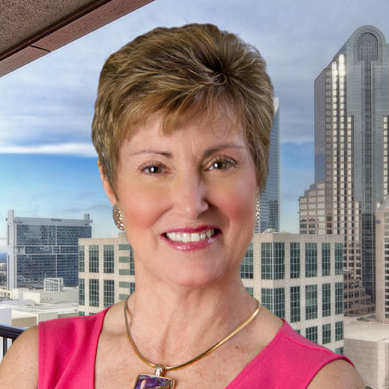 If you’re looking for a hard to find Charlotte native who knows and understands people and real estate, Diane Ramsay is your person! Having owned and operated Femme Fatale for over 16 years, Diane understands how to provide personal attention coupled with extreme attention to detail. 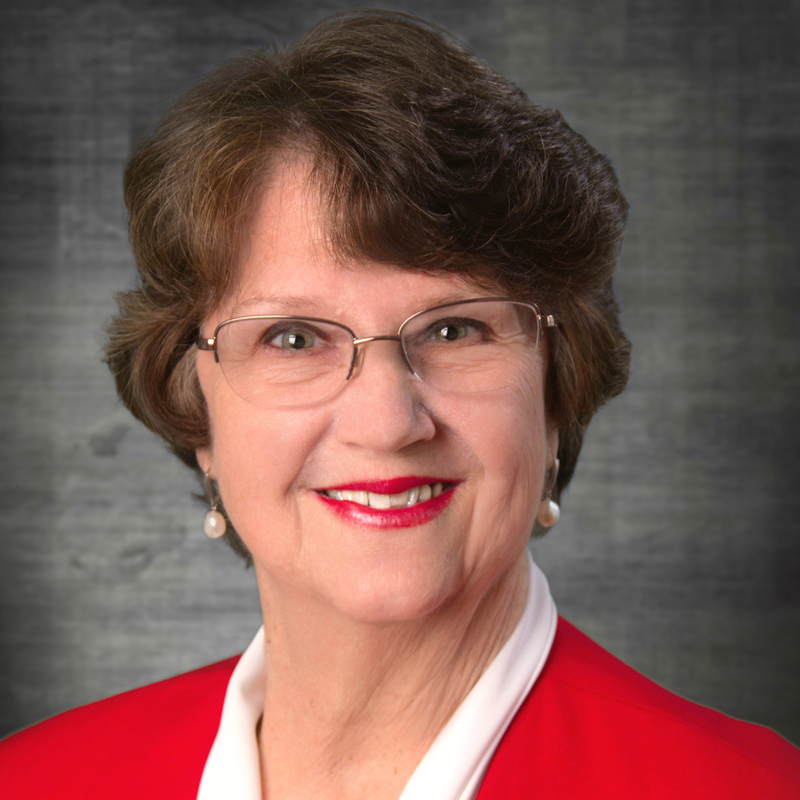 She’s been a NC / SC licensed Realtor since 1979 and is active on the women’s board at Holy Trinity Greek Orthodox Cathedral. She currently resides in south Charlotte and would love to help you explore southeast Charlotte as well as Fort Mill! Allison is a dedicated real estate professional with a niche for investment buyers and property management in the Greater Charlotte area. Being a native Charlottean herself, she understands what this great city has to offer! Her property management and client relationship skills are above reproach. 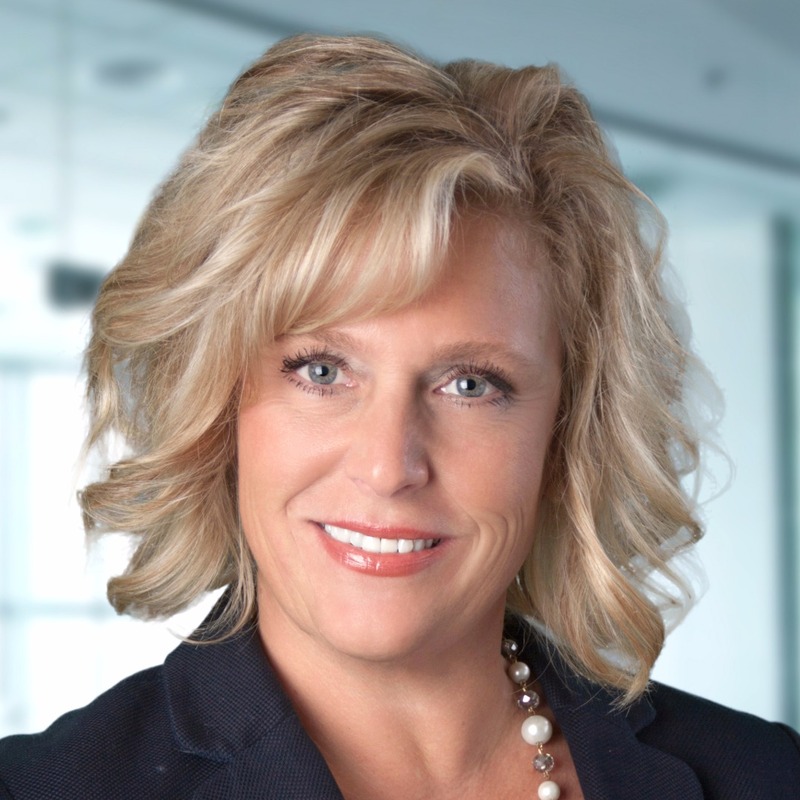 Allison believes individual client attention is the key to successful, prosperous relationships. Formerly an analyst with Harris Teeter, Wendy has a diverse background including recently opening up an orphanage in Peru. A native of North Carolina, she, her husband and three children reside in Matthews. Wendy is part of the Lori Williams Real Estate Team and is a great asset to all! Are you looking for an experienced real estate agent to assist you in buying or selling your next home? How would you like to work with an agent who works hard for his clients and looks out for their best interests? As your agent, Connell will bring over ten years of real estate experience. Connell knows the real estate market and would love to assist you in buying or selling your next home. Georganna has been a full-time licensed Realtor since 1995, and LOVES HER JOB! Her objective is to market and sell properties using the highest professional ethics and thorough knowledge while maintaining a close relationship with all her clients. She has built her business on client referrals and repeat business over the years and for having a passion for the business while providing good, old-fashioned customer service. 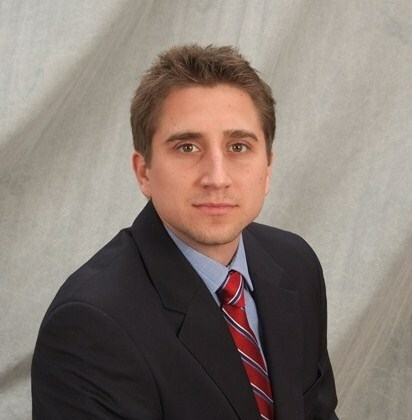 As a seasoned real estate professional, Logan has helped a variety of buyers and sellers over the years. With his extensive real estate and banking background, he has a keen eye for detail and can help you navigate the choppy waters of buying and selling a home. In his free time, Logan is the father of twin teenage boys and is steadily involved in the community with his volunteerism. For Paige, coming into real estate was no surprise. Paige’s degree is in design and she has practiced in various areas over many years. With her background and love for all structures (homes, boats, condos, sheds, you name it), Paige was able to craft a joint business as a residential broker, investor, and second-home property specialist. The design aspect of her business allows her to see the vision of what a home can be and the steps to take it there. With a four-year degree in business, this Union County resident possesses the skills and expertise you need to find the right home and negotiate the best price. 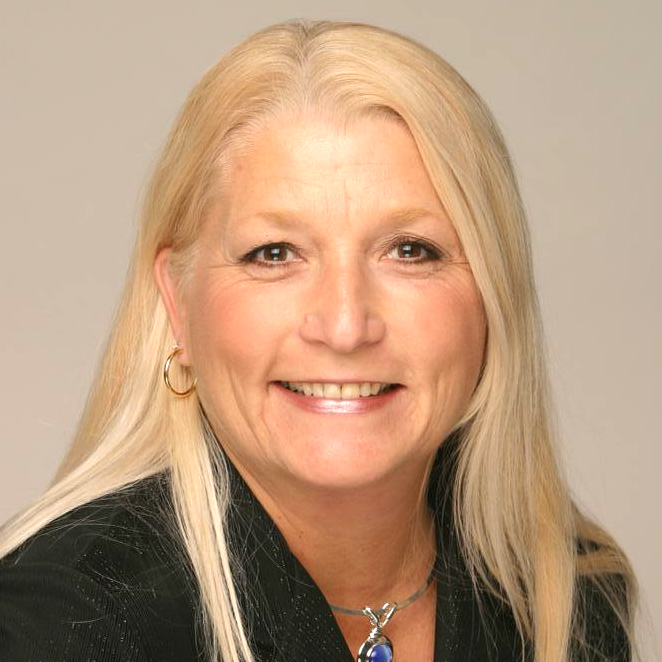 Treva is a seasoned professional who works with both buyers and sellers. She takes pride in delivering outstanding service and will work hard to ensure you have the very best experience with your next home sale or purchase. 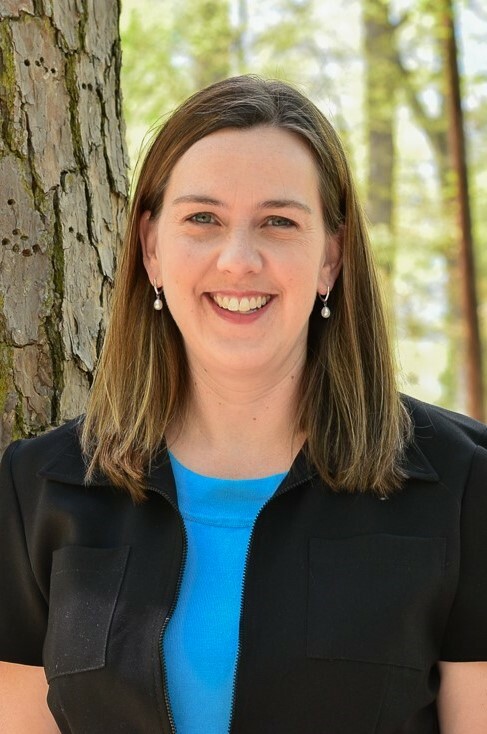 An expert in the Southpark, South Charlotte, Matthews and Indian Trail areas, Stephanie grew up in eastern North Carolina. She attended UNCW and Fayetteville State. Stephanie has many years of experience in consumer product sales and market research, and she became a licensed Realtor in 2012. 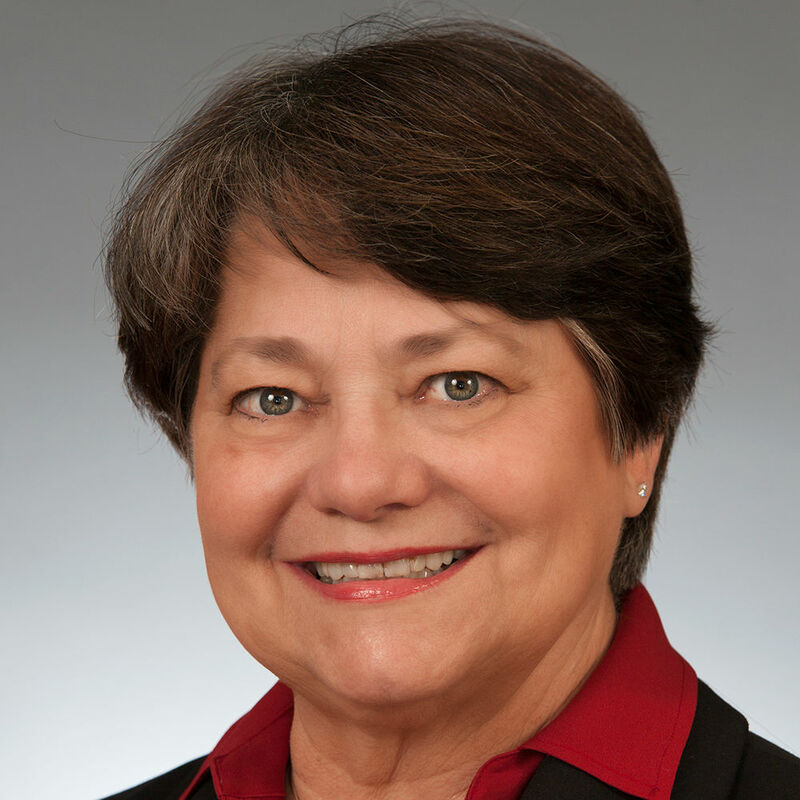 Nona Thompson has been a Realtor since the early 1980s, covering all of the Charlotte metro areas, including the lakes. She grew up in Cherryville and still owns a 27-acre farm there with her husband, Cecil, raising apples and blueberries. In her spare time, she directs choirs at church and takes the senior citizens choir on tour to nursing homes throughout the year. Nona and Cecil have a daughter, who is married with a son. They live in the historic town of Kings Mountain. Nona’s father sold part of his farm to send her to UNCG, where she studied music and then taught in the public schools. A rare native Charlottean who knows the great areas and schools, having two terrific kids myself. I started working in this industry in 2001 with a new builder and obtained my real estate license in 2006. It's my passion to help my clients find that one of kind, special place they can call home. Experienced in both NC & SC, I look forward to hearing from you. If you want true professionalism and results, I'm the Realtor for you. I'm a native of Charlotte, born and raised, with an additional 20 years of experience in sales, education, and PR abroad. Real estate has always been a passion of mine and I am fortunate enough to be able to pursue it in Charlotte's hot market. I specialize in understanding my clients' needs and efficiently getting results for them. From first-time buyers, to in/out-of-state/country transfers, to new developments or resale, to luxury properties, I am dedicated to it all individually and fully. I am fluent in Greek, Spanish, and some Italian. My family is most important to me and I've always been driven to teach my children that integrity and determination can get you anywhere. I lead by example. In my free time, I enjoy traveling and learning about interpersonal relations. Positive energy is what I believe is the key to happiness personally and professionally. 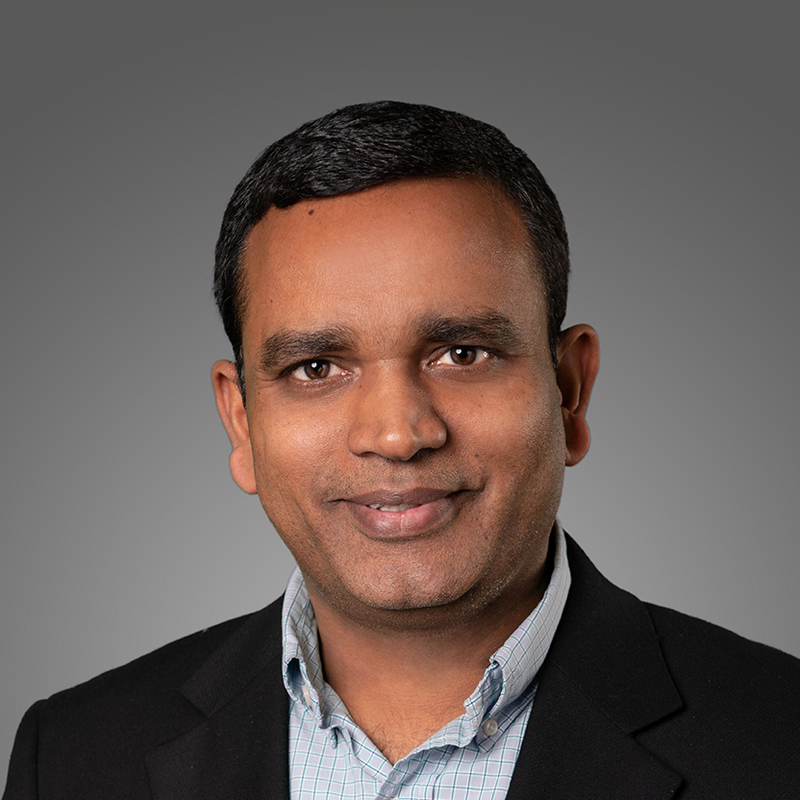 Kesava started his real estate career selling new homes but has branched out into helping buyers and sellers with existing home transactions, as well as commercial sales. He’s been in real estate since 2006. Like Kesava, many of his clients are from India. He is fluent in Telugu and understands the specific cultural needs his clients expect to be met. In his spare time, he watches sports, particularly tennis and pro football, and does volunteer work. Scott’s greatest professional achievement and proudest moments have been from the more than 26 years he has spent planning, opening, marketing, selling and then experiencing the maturity of some of South Charlotte’s most successful communities. Personally assisting in the culmination of hopes and dreams while helping perfect strangers become lifelong friends is beyond description. This is not his vocation, it is a vocation that he loves. Let him assist you in making your dreams a reality. Originally from Wisconsin, Alyssa moved to Charlotte in 1998 because she saw Charlotte as a city that had unlimited growth and opportunity. After watching her mother successfully sell real estate for 25 years, she knew it was something she wanted to do. She is dedicated to helping you achieve all your dreams of owning a home, and your complete satisfaction is her highest goal. Every year, 85 percent of Alyssa’s business comes from referrals from past clients. She is licensed in both North and South Carolina. Call or email her today! I’ve lived in the Charlotte area since 2004 after being relocated by my company. They were looking for an agent to facilitate a new division in this market and I jumped at the opportunity. Fortunately, my family and five grandchildren live here which was one of the deciding factors for taking up a new residence. I have been working in the industry for over 20 years and have developed my own creed – the reason I became a Realtor was to help people achieve their dream of homeownership. But the reason I stayed was that I was the one receiving the benefits with long relationships that have enriched my life. I am active in a variety of sports, music concerts, and family activities. I attend Central Church of God an am affiliated with several volunteer organizations. Call me to ensure that I will listen to your needs to find the “right” home for you. Are you looking for someone who can deliver professionalism, confidentiality, reliability, and results? Look no more. You can count on me to be assertive yet friendly and approachable. I truly enjoy my career and care about my clients. I have a clear understanding of what it is like to be selling a home, buying a home, or buying investment property. I am a mother, business owner, homeowner, and investor, therefore, I can relate to my clients on a variety of levels. I believe that an informed client is a happy client. Good communication and listening skills are at the top of my priority list. The first step in helping either a buyer or seller is to have a clear understanding of their wants, needs, and goals. I am able to achieve success through listening closely, asking the right questions and providing guidance and honest answers. I strive to give insight so that my clients are well informed and they know what to expect through each stage of the transaction. Lori has lived all over the world, and her experiences make her extremely compatible with all different types of people. She is a Relocation Certified Specialist and Expert by personal experience, nationally and internationally for more than 30 years. If you want someone who works extra hard and always goes the extra mile, call Lori today! What I do: Enrich lives by leveraging my residential real estate knowledge, skills, and experience to bring my valued clients' home ownership dreams to life! Eleven years of full-time experience serving and protecting clients throughout the home-buying and selling experience. Served twelve years in the U.S. Army and Army Reserve. Served five years as a Charlotte-Mecklenburg Police Officer. Worked eight-and-a-half years as a Technology Change Manager at Bank of America. I uniquely blend residential real estate expertise with faith and values to enable the dream of home ownership, by providing extraordinary real estate knowledge, unparalleled client focus, phenomenal customer service, and a servant leadership mentality. Marlene started her career at one of the large Wall Street firms, located at the World Trade Center. 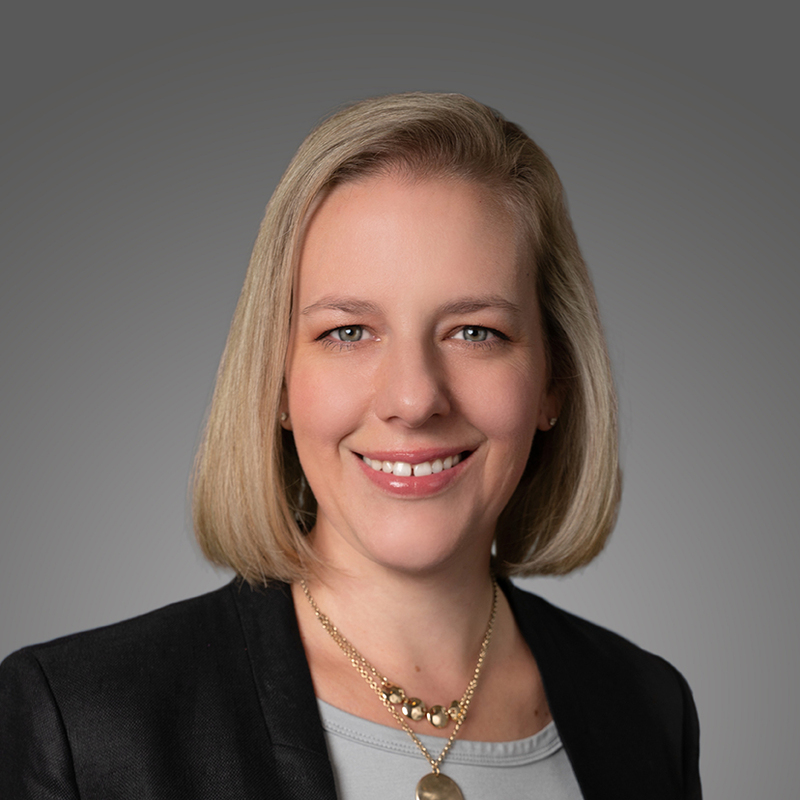 Originally performing accounting and finance responsibilities in the Corporate Services Division, her passion for real estate was evident, and the real estate department wisely transferred her into the division, where she handled corporate real estate transactions. Having gone through the relocation process both personally and professionally multiple times, Marlene is cognizant of the many issues of both buyer and seller. She knows the importance of listening to the individuals and asking the appropriate questions to determine the best outcome of the transaction. She understands the importance of staying attuned to the needs, expectations, and specific desires of her clientele until the transaction has been successfully completed. Paul is not only a Charlotte native and Realtor, but he holds a Builder license as well. This allows him to provide a unique blend of services such as on-the-spot estimates, which protect clients from potential problems they might have missed, and the ability to negotiate repairs effectively. Paul’s business consists of referrals and repeat customers who find his workflow to be modern, simple, and worry-free. He utilizes the best technologies to either sell homes fast or find that perfect home for his clients in Charlotte’s ever-changing market. Sherrie has over 15 years of real estate accounting experience which helps her understand the cost of buying and selling a home. Raised in Charlotte, she has seen this city grow from a small town to the large metropolis it is today. In her spare time, Sherrie plays in a handbell choir and loves her time at home with her kitty Mattie. Molly relocated with her family from Long Island, NY, in the fall of 2004. We wanted a better life for our four and ourselves. Having a visual merchandising/marketing background from WVU, I wanted to do something to utilize my talents and allow me the flexibility in my schedule. In my career of 15 years as a Realtor-Broker in the Charlotte market, my team and I have successfully closed over $35,000,000 in volume and have multiple "Top Producer" achievements throughout the years. As well as keeping up with my personal duties as a Girl Scout leader, class and team mom, PTA, Eastern Star, and board member of Humanity of Matthews. I work hard to do the best job for every client whether the home is $50K or $5M. I take pride in what I do and treat every client as a friend. Put your trust and confidence in me to get the job done, finding or selling your home. Working hard to create a positive real estate experience for all my clients. Licensed NC/SC member of NAR, NCAR, Carolina MLS, Multi-Million Dollar Producer, Member of the Million Dollar a Month Club Agent. Over 10 years of Visual Merchandising experience. A background to stage your home and get it SOLD! CRS Certified Residential Specialist, SLS-Strategic Listing Specialist, Relocation Specialist, Certified Negotiation Specialist, E-Marketing Specialist. Mitch is the Broker/Owner of ProStead Realty and a Hall of Fame award winning agent! He is also a Certified Residential Specialist as well as a Certified Professional Coach. 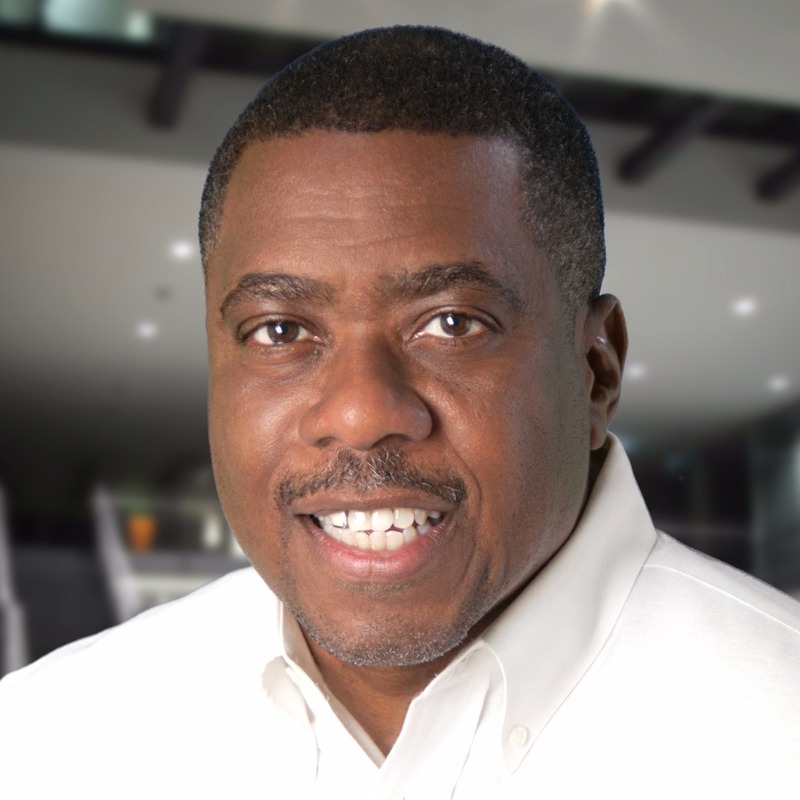 As a native of Charlotte, Mitch has more than 30 years of full-time experience as a top selling real estate agent in the area. He has built his business on referrals and repeat business over the years by having a passion for the business and providing, as he calls it, “just good ole fashioned service.” Mitch’s experience is what you need to get the job done. In addition to his many designations, Mitch is also a multiple award winning "5 Star Service Professional"!